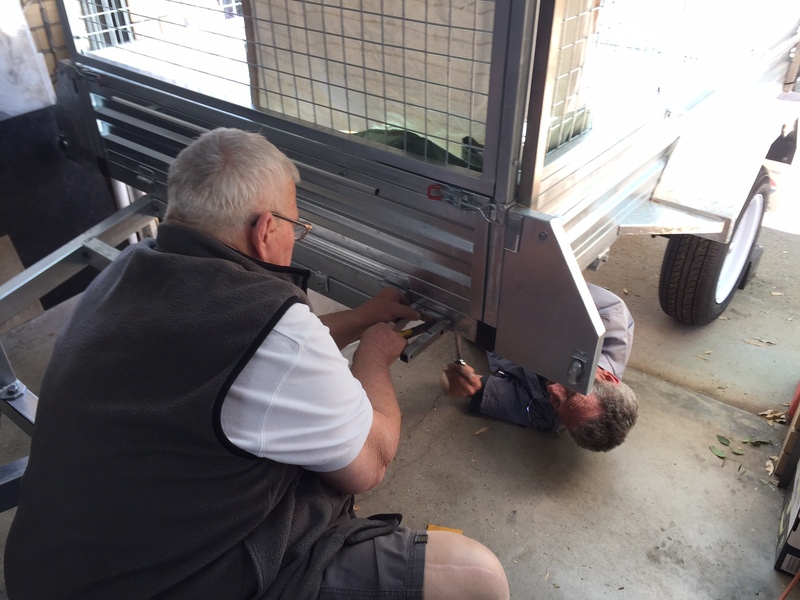 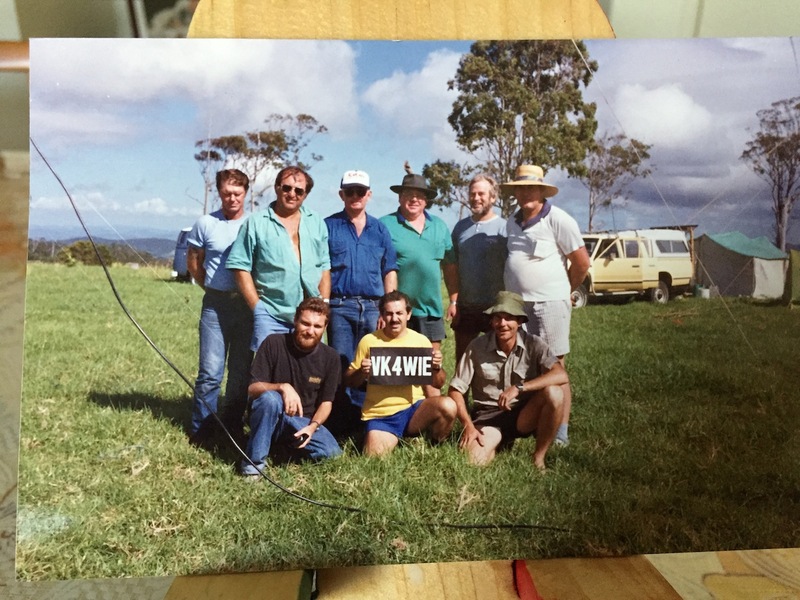 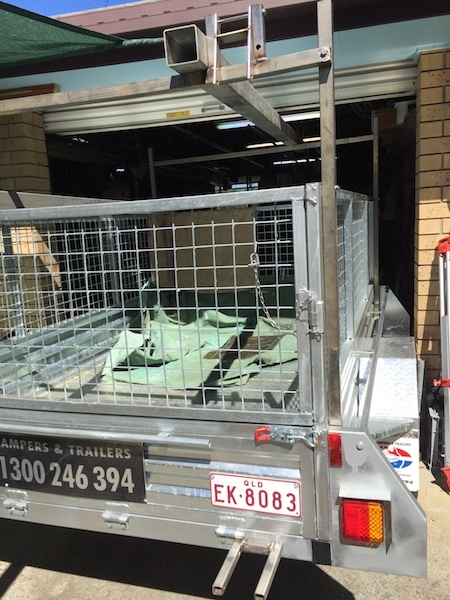 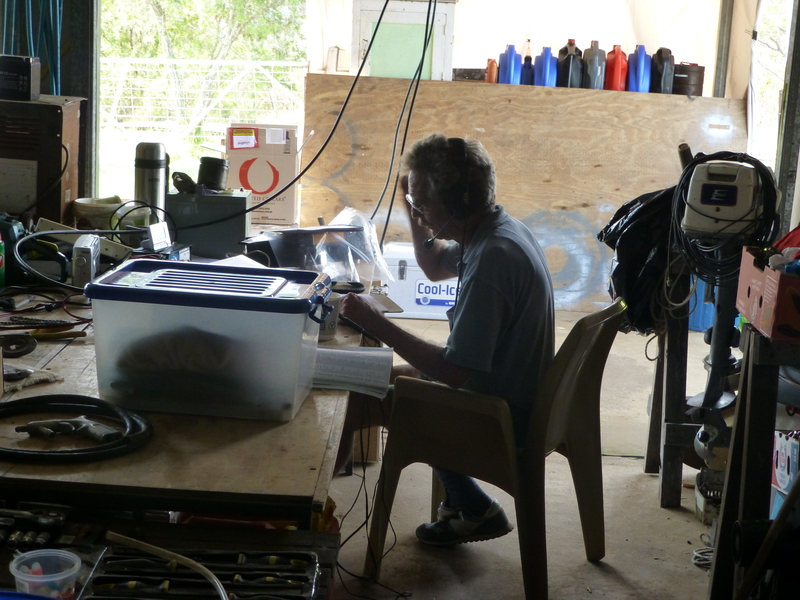 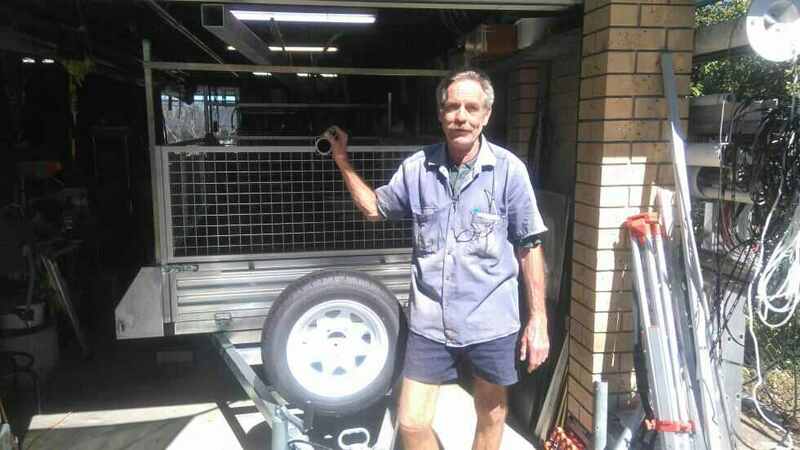 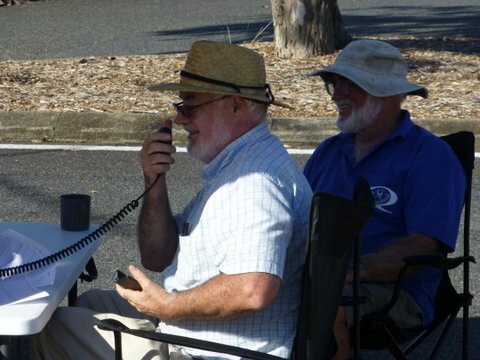 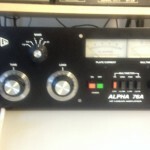 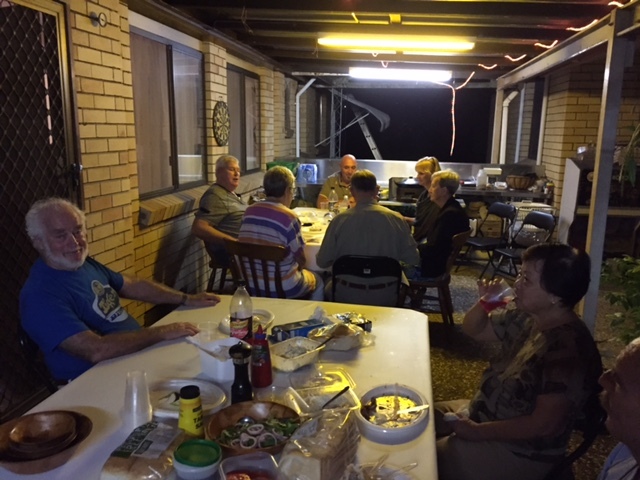 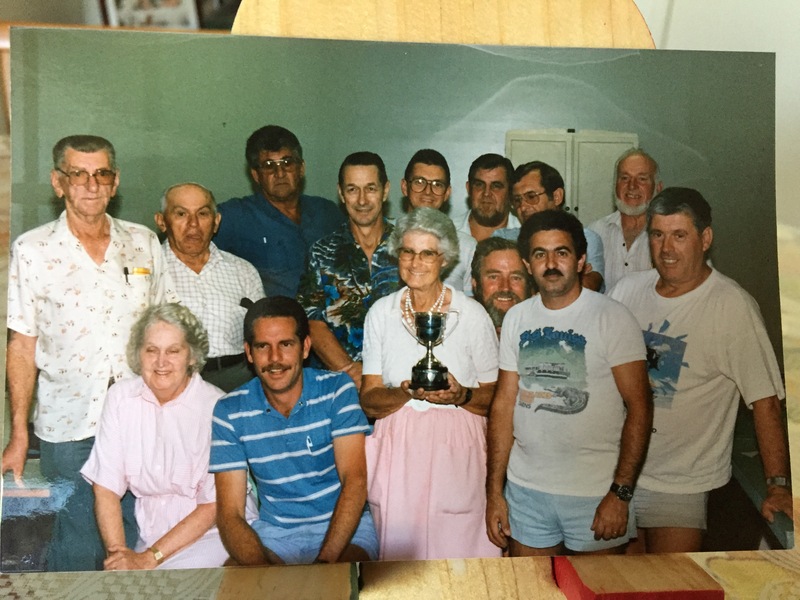 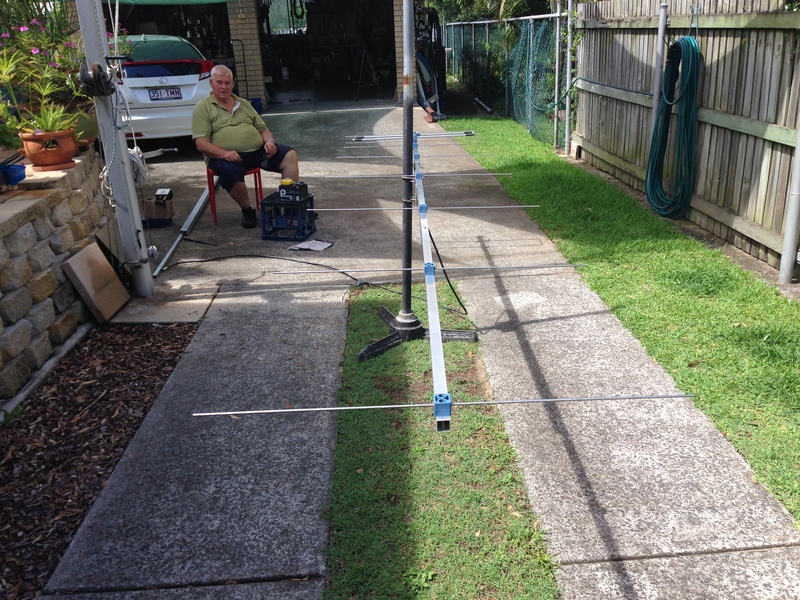 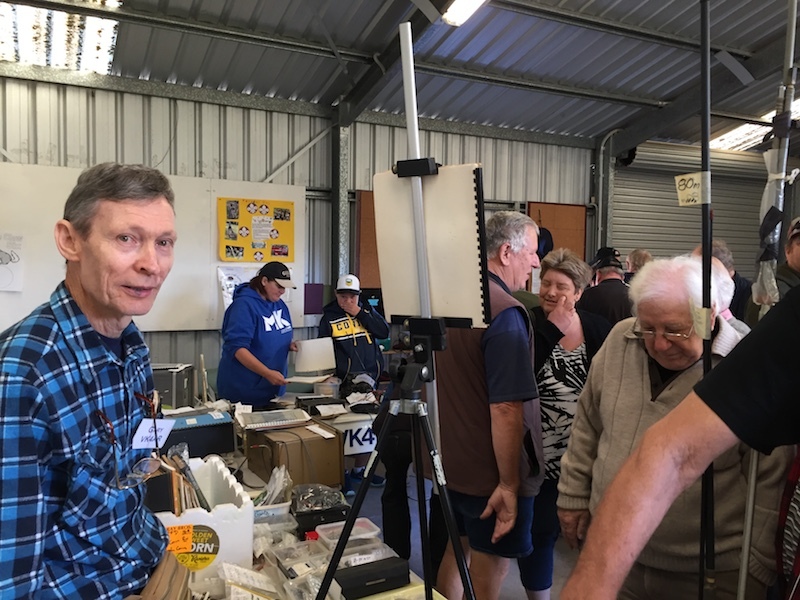 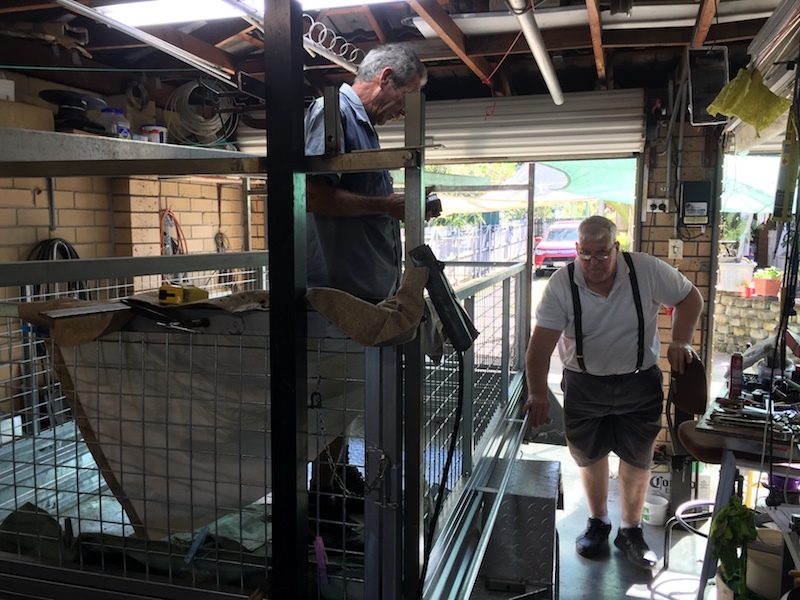 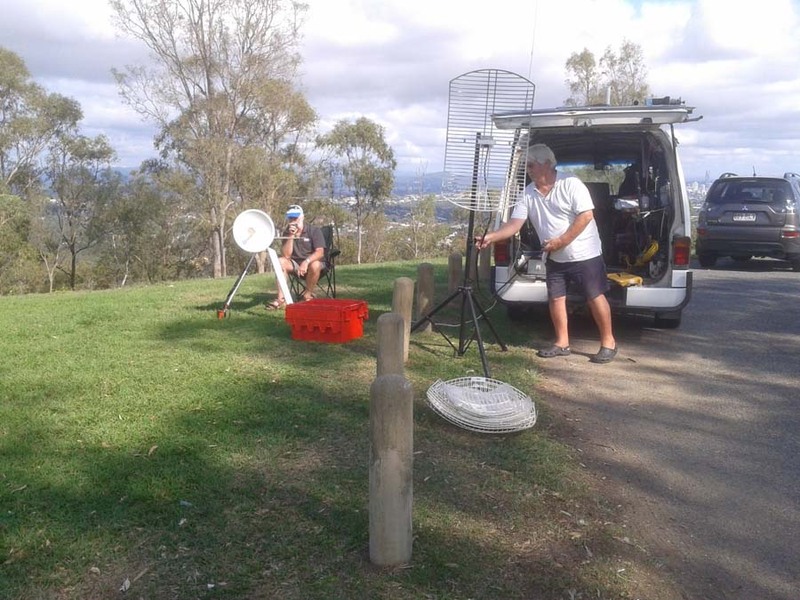 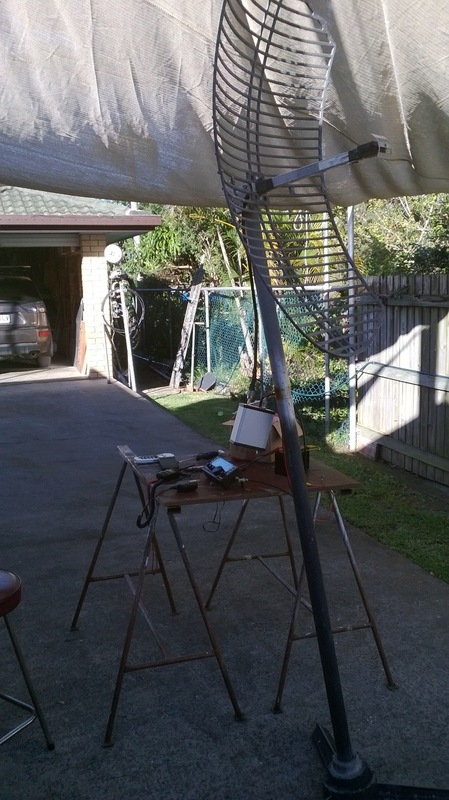 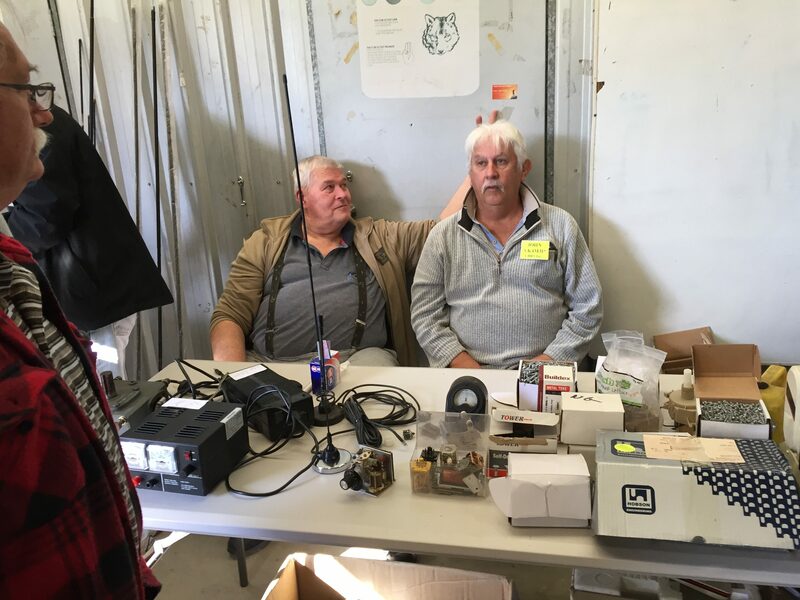 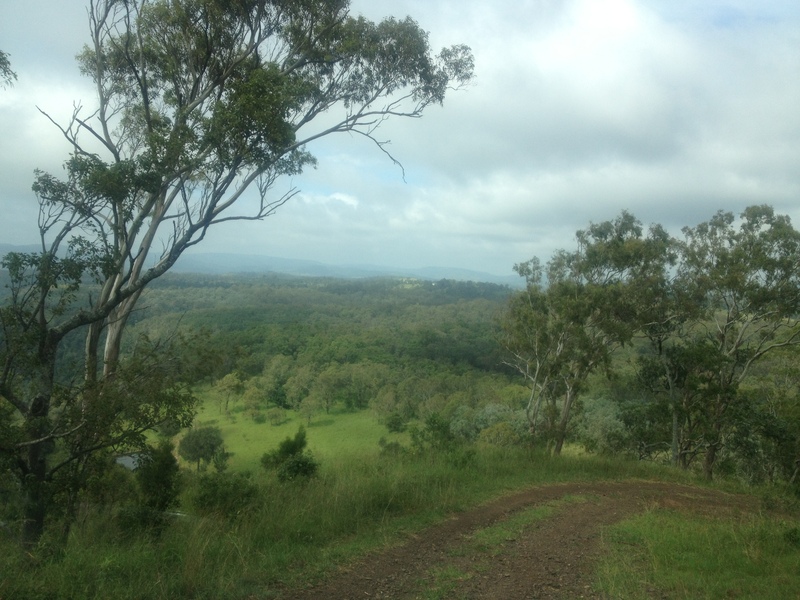 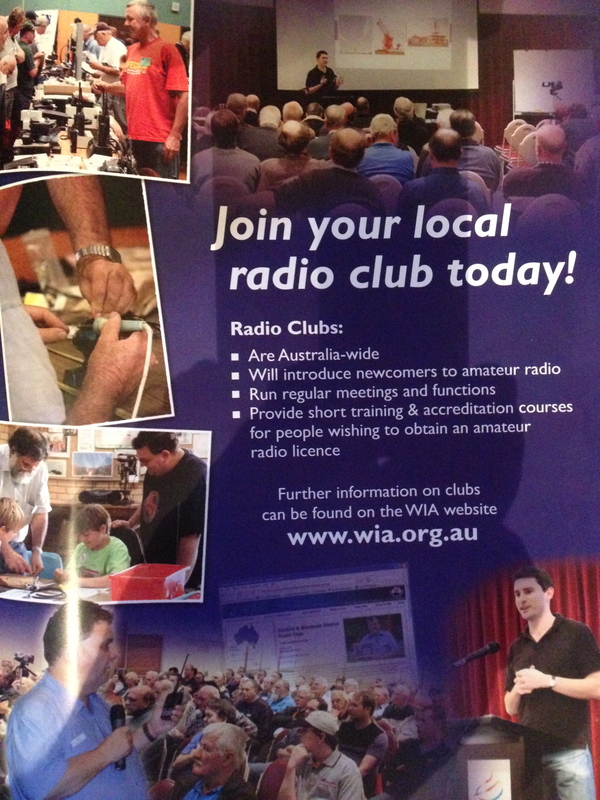 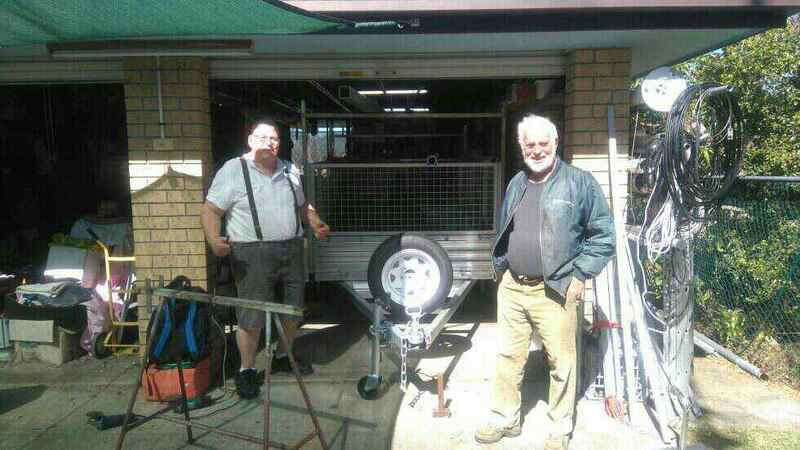 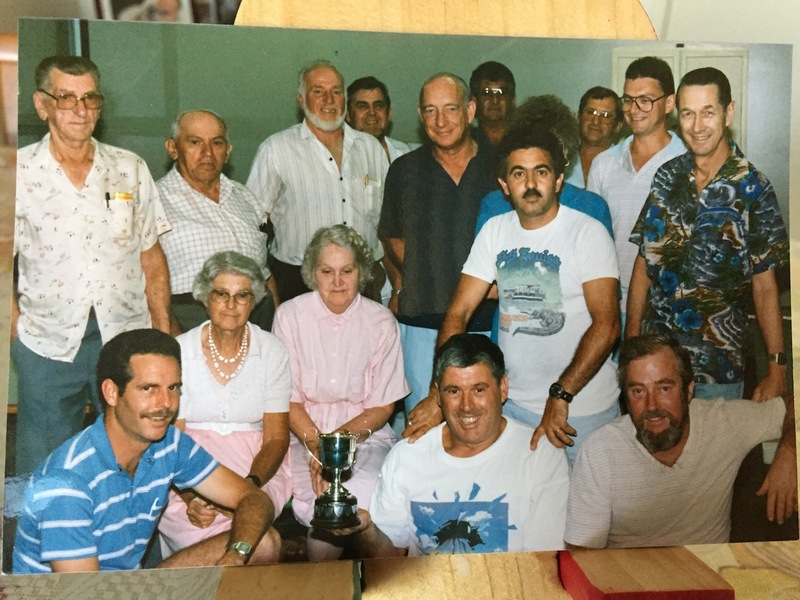 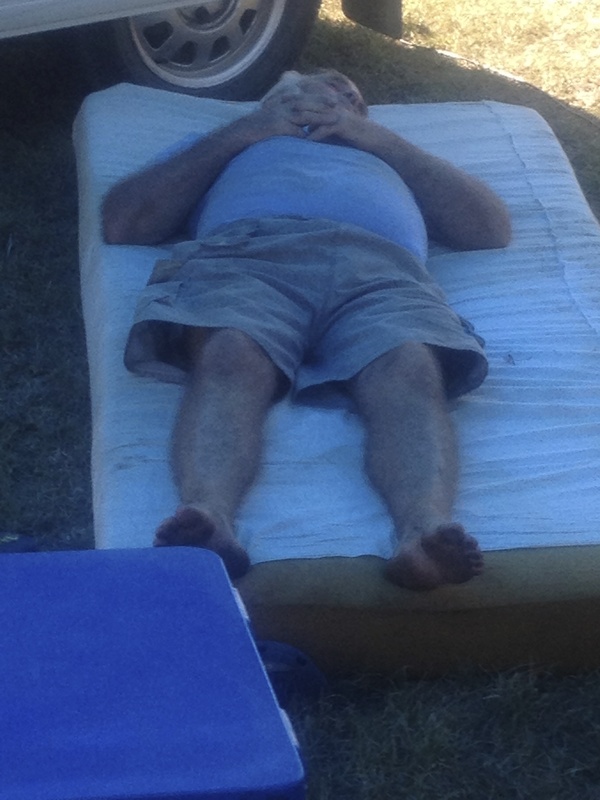 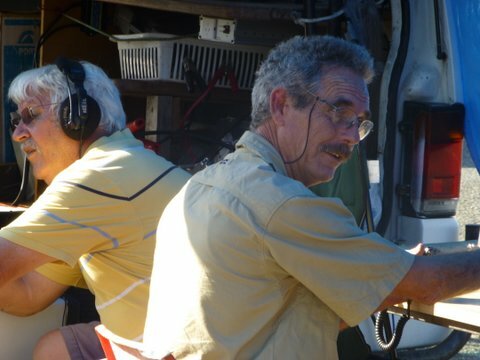 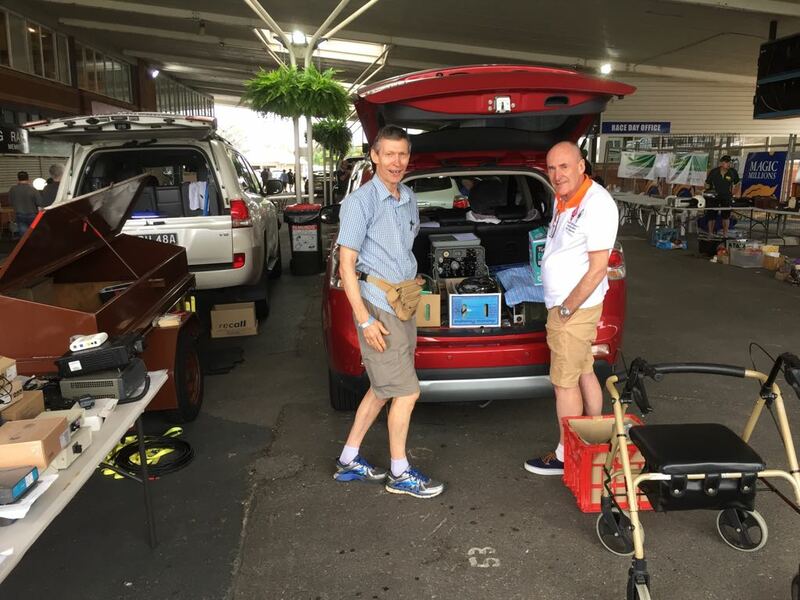 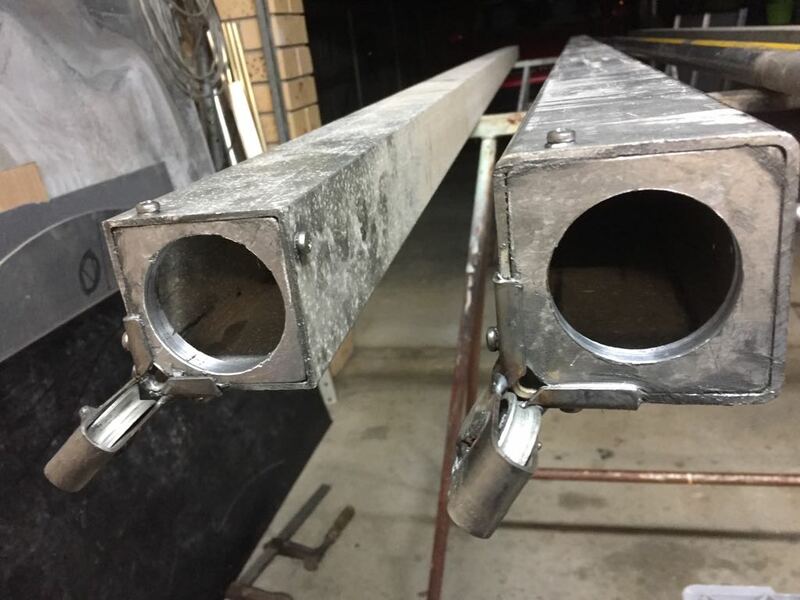 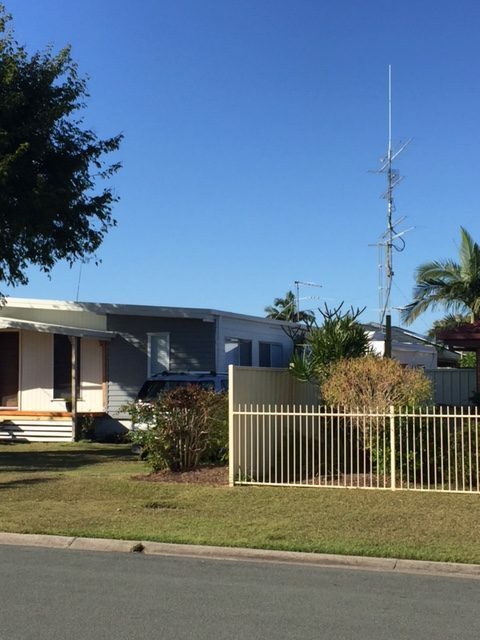 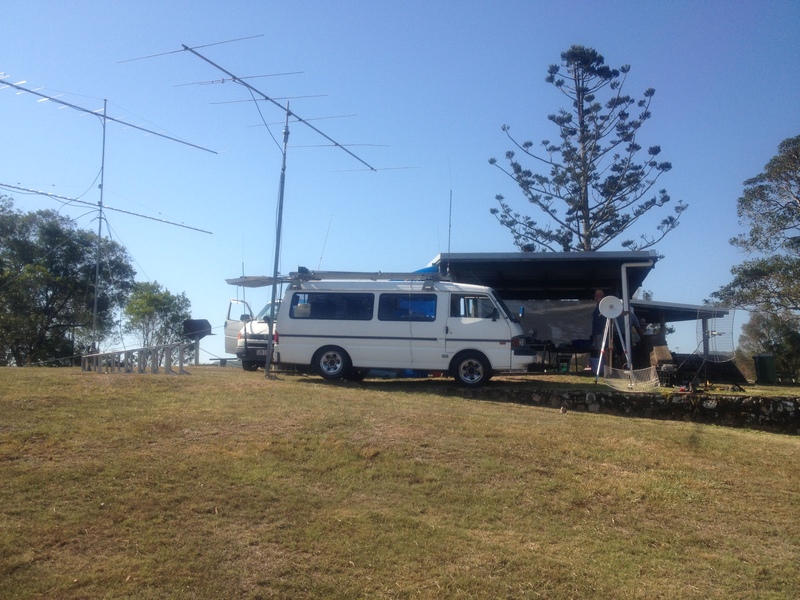 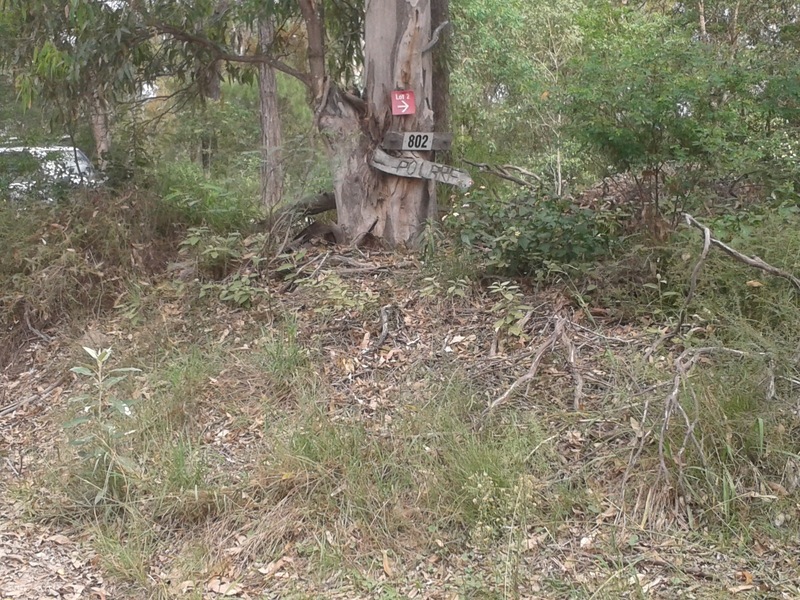 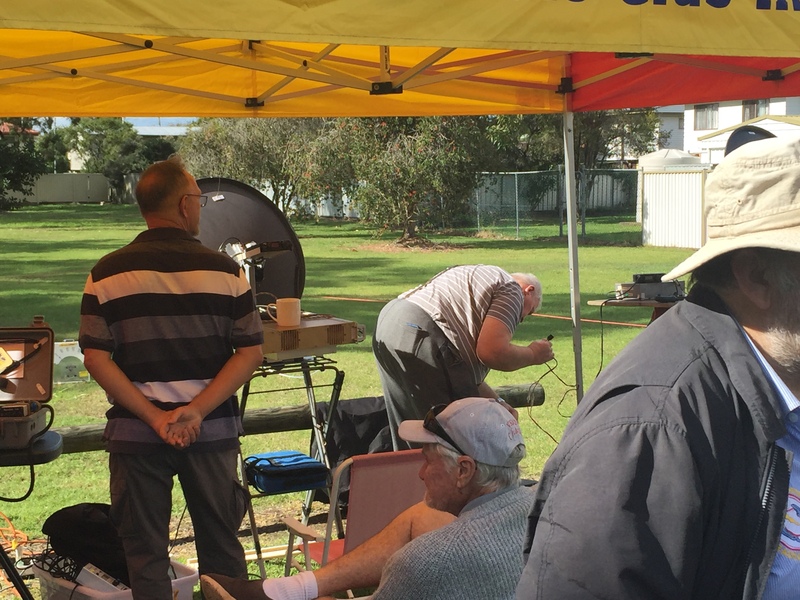 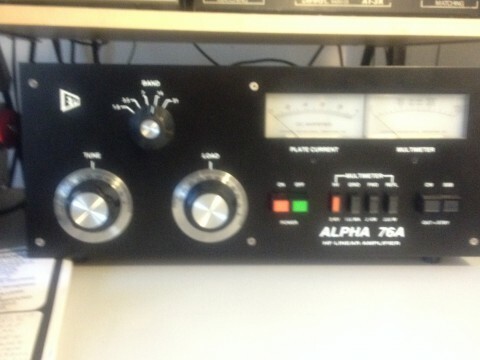 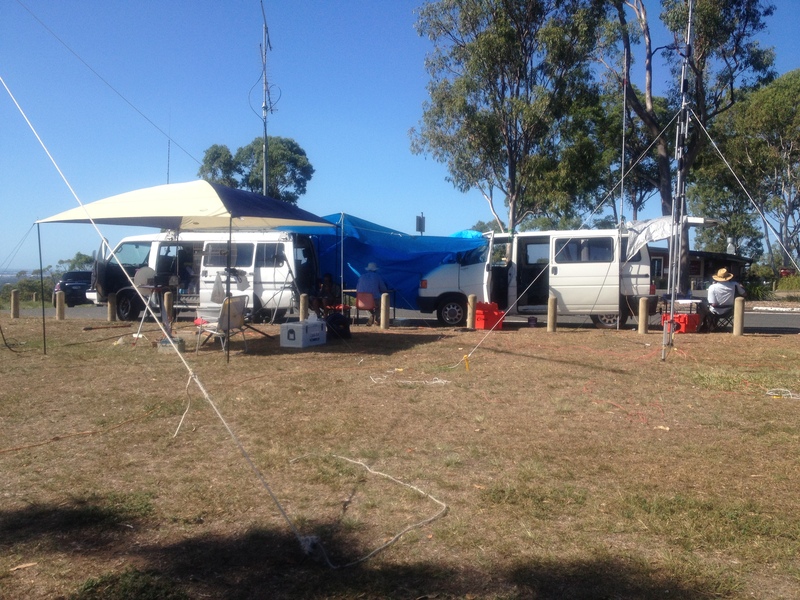 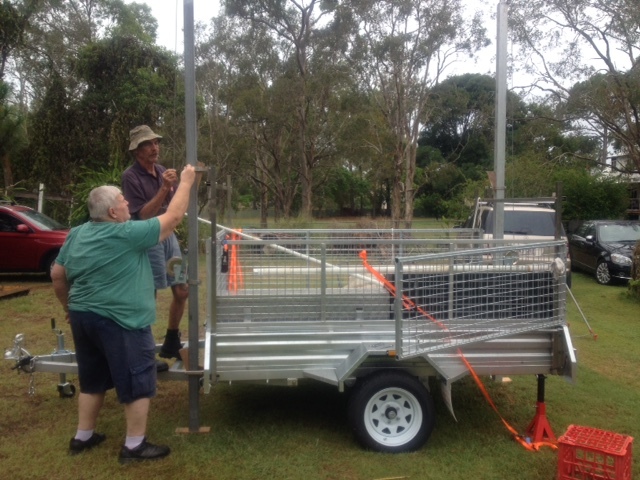 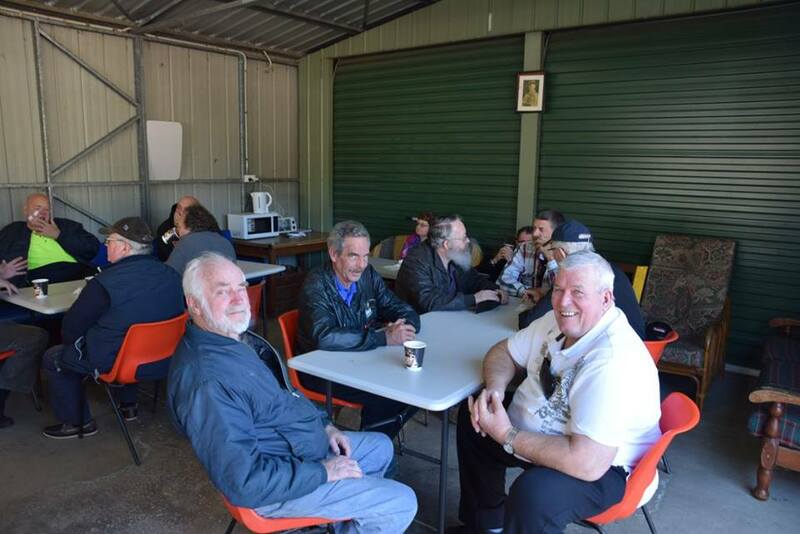 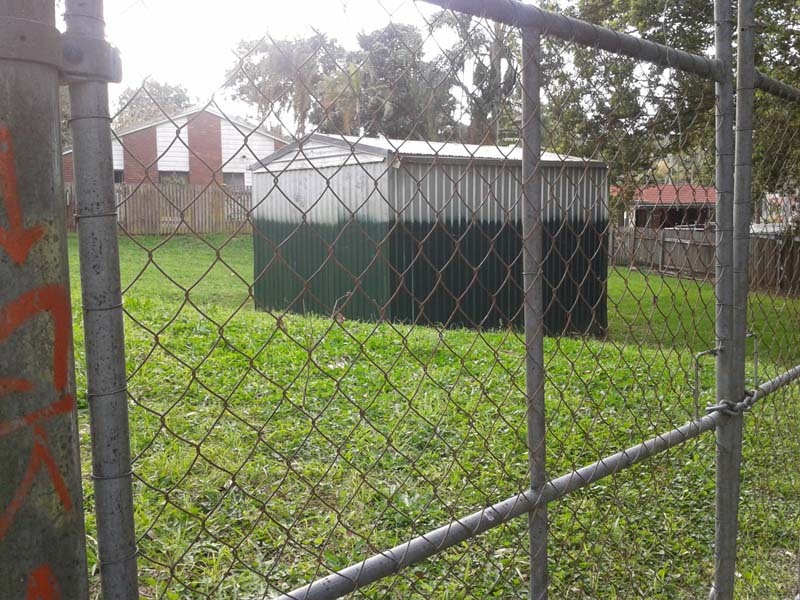 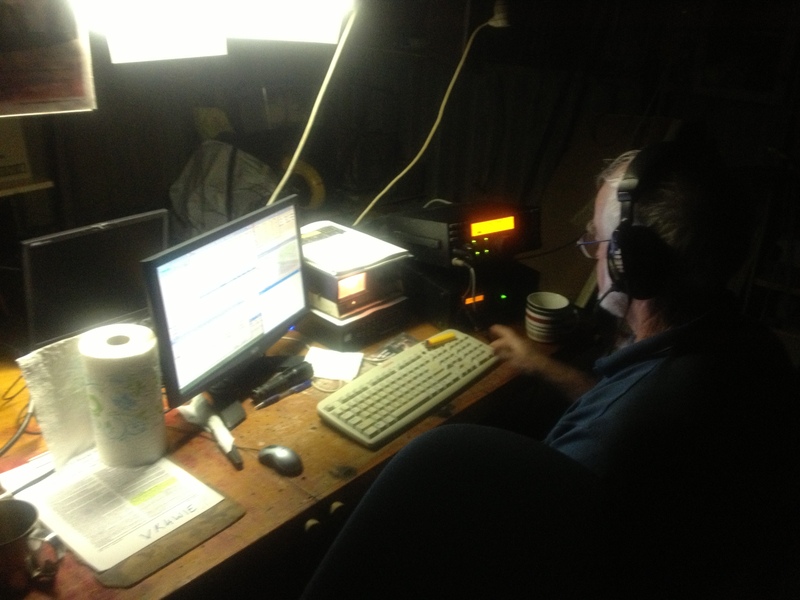 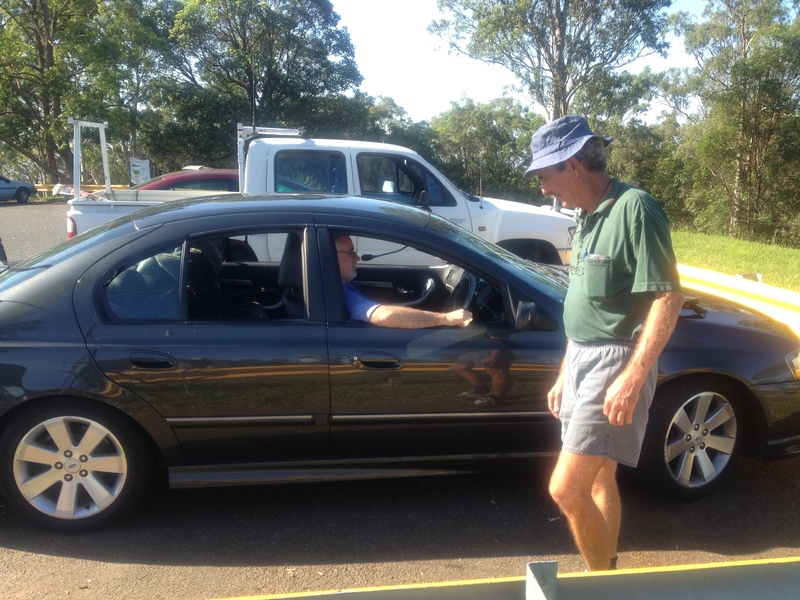 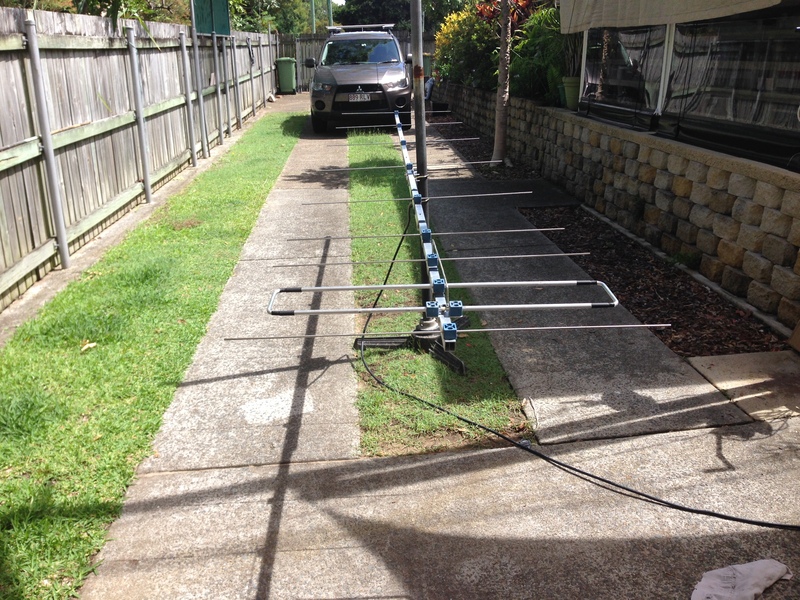 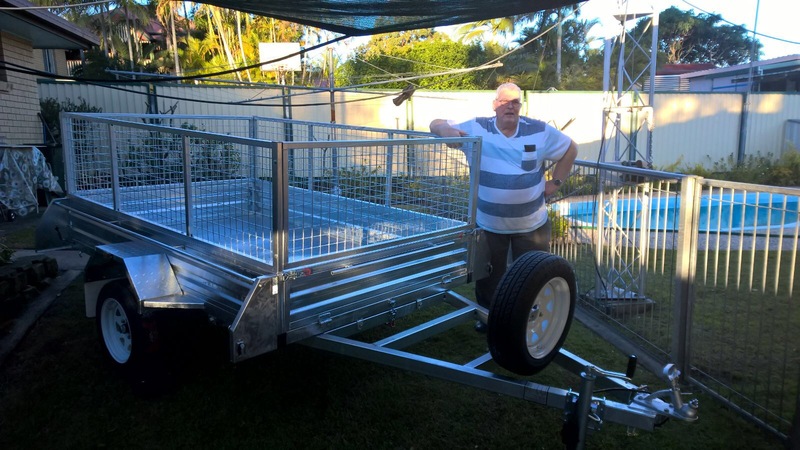 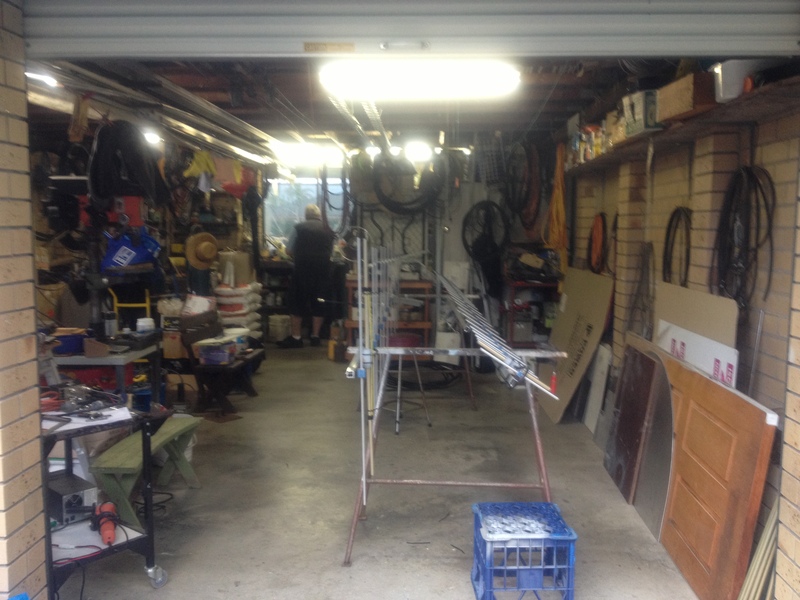 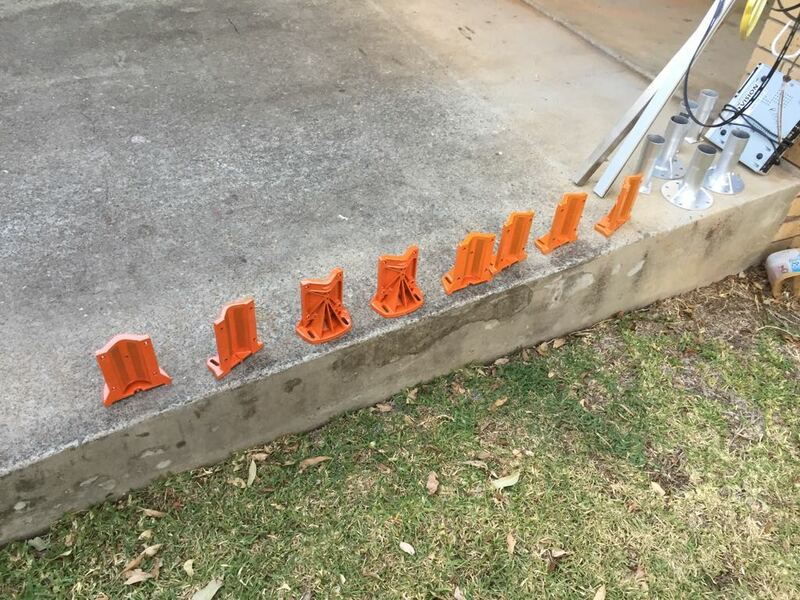 Project Bench – Story’s – City Of Brisbane Radio Society inc.
VK4CRO has been restoring his Alpha 76A, he has been working on the restoration for some years. 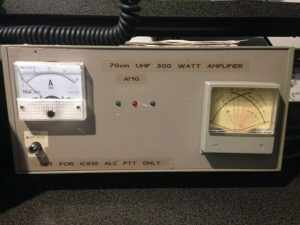 So with a small outlay and lots of time here is the results,of course it comes with the brag about this 2K/watt Amplifier and the melting dipoles. 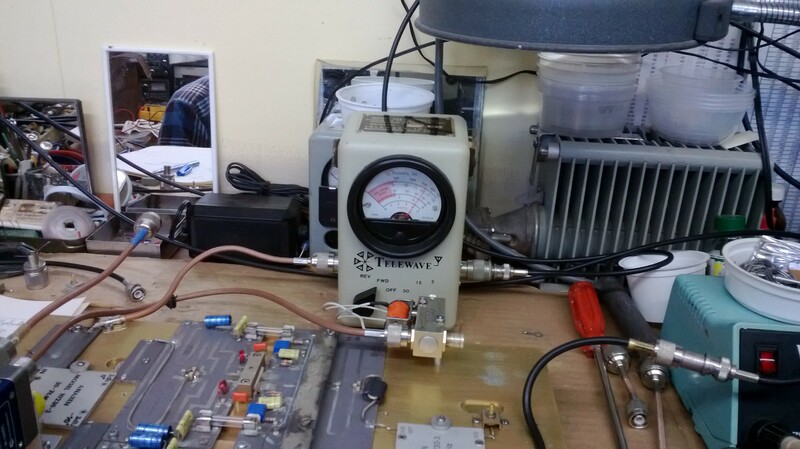 VK4MJF is working on 2.4ghz pre amplifier, for his 2.4ghz transverter. 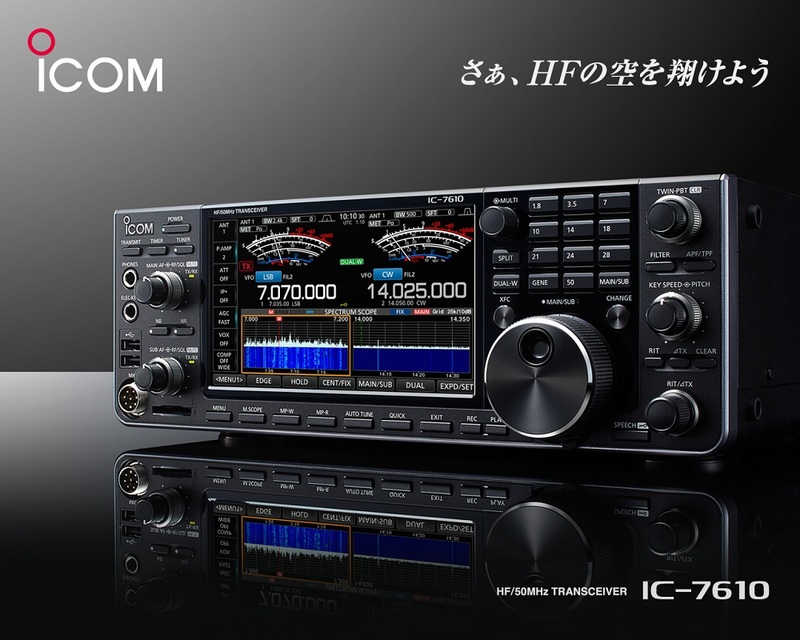 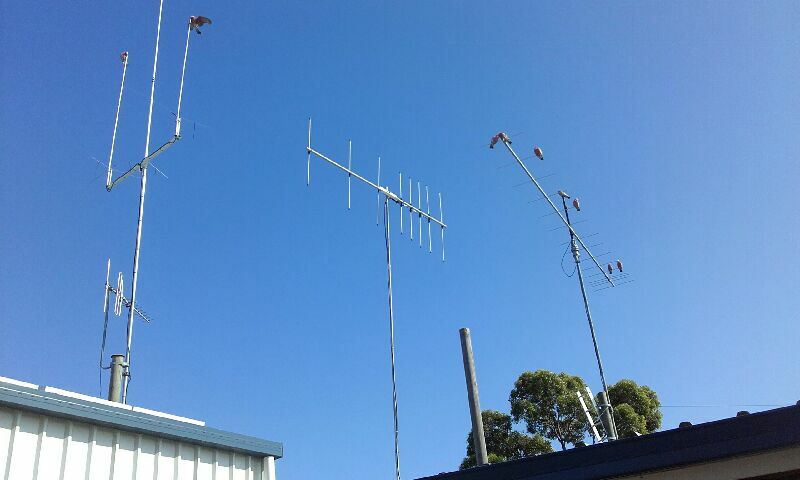 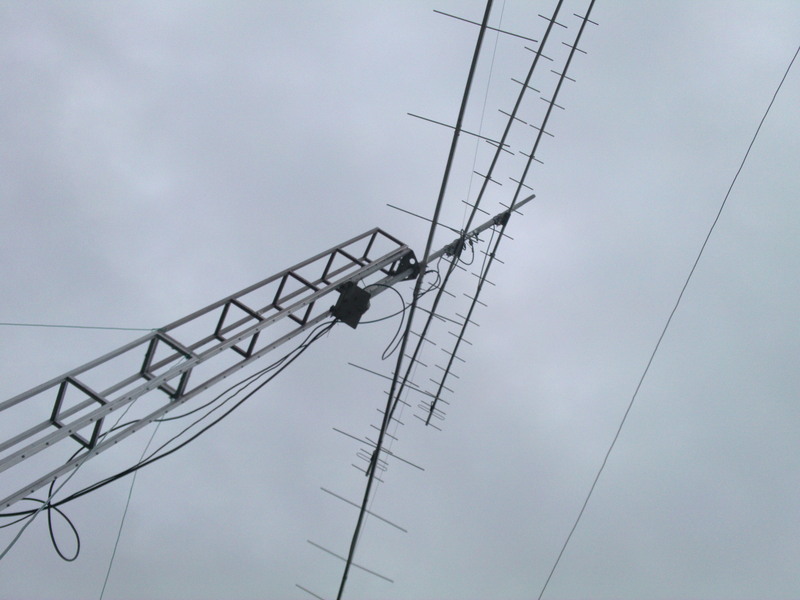 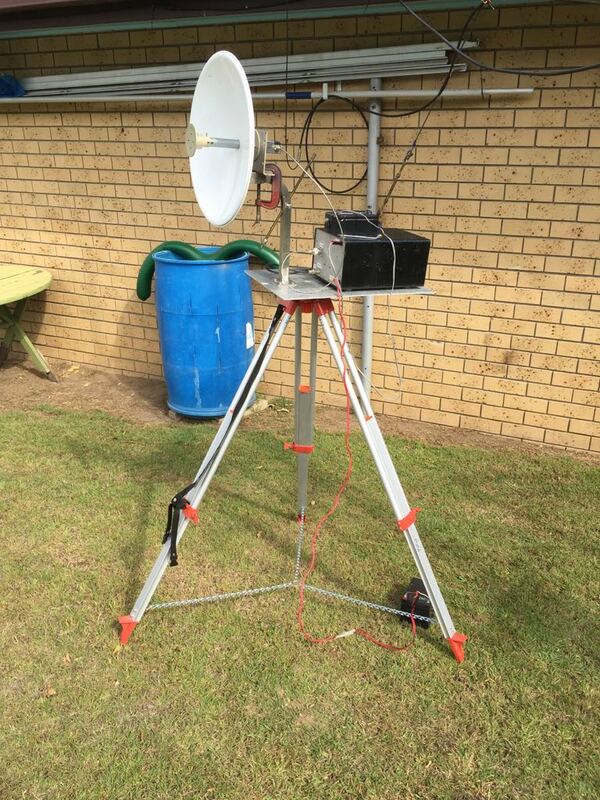 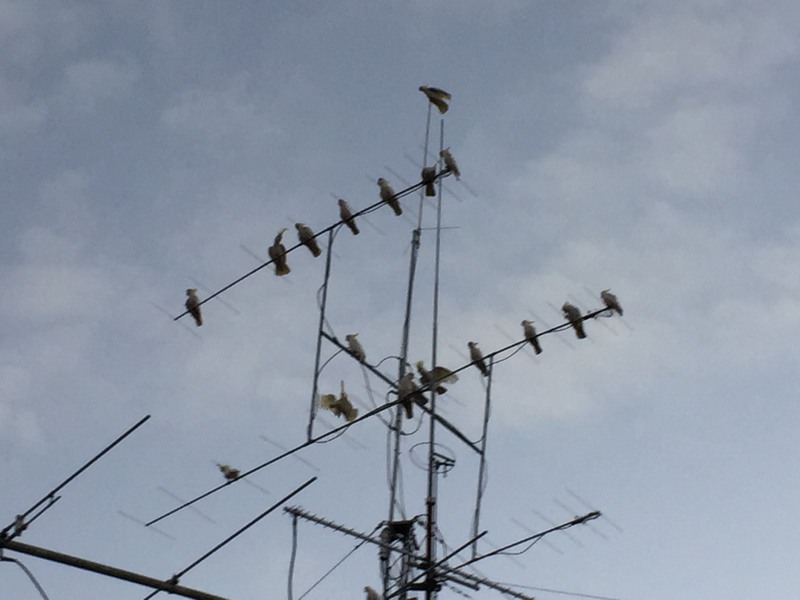 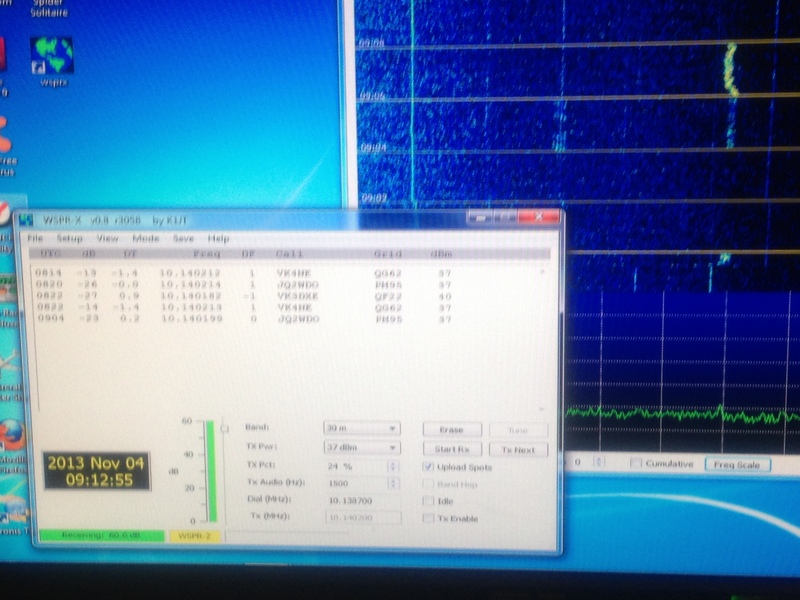 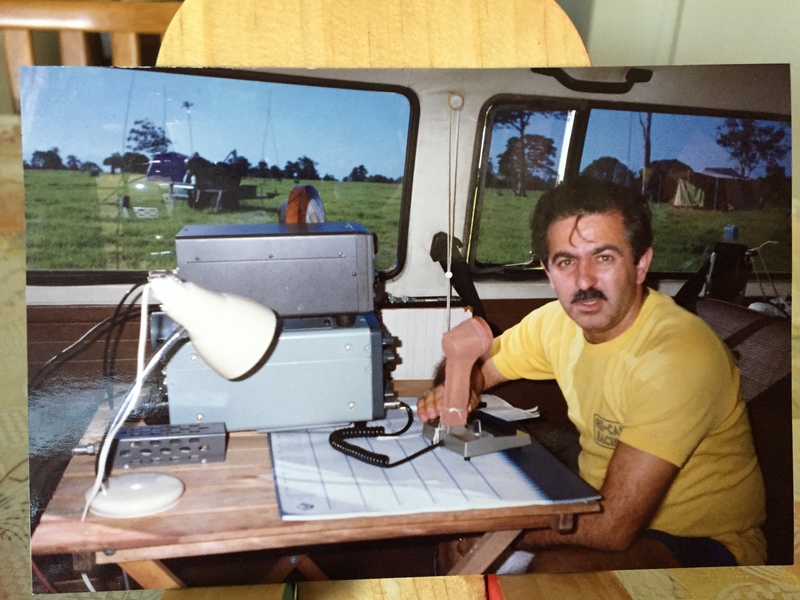 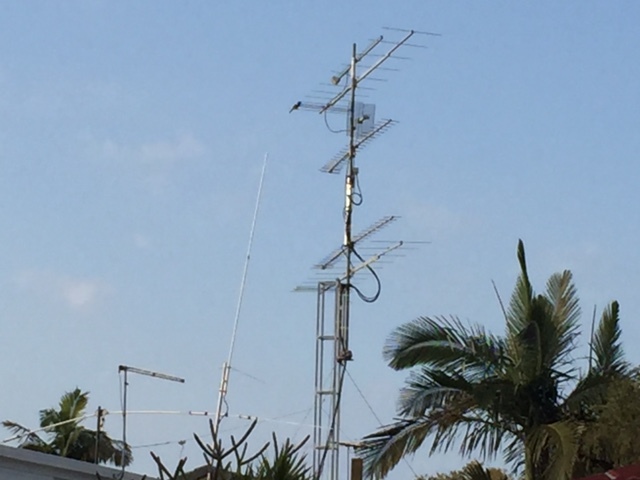 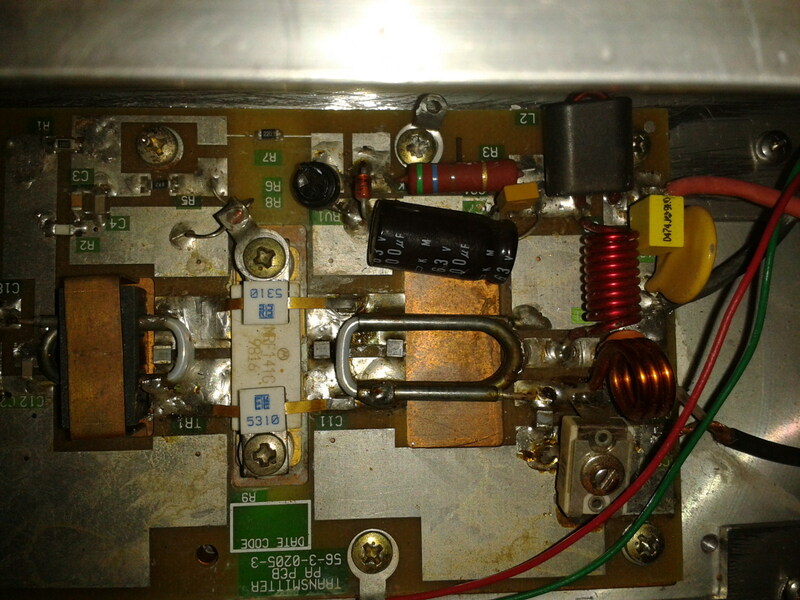 His story goe’s like this” after been embarrassingly beaten by several of the Klune 2.4ghz series of transverters on a recent shoot out with the VHF Group”, he decided to adapt a mini kits 2.4-2.6ghz pre-amplifier, achieving from a 5/4 to a solid 5/9 signal from the beacon @ VK4NEF QTH. 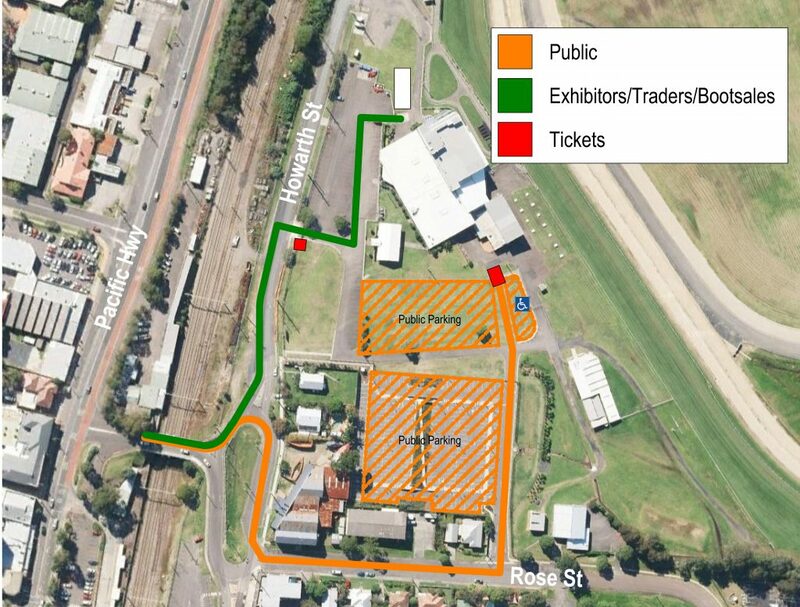 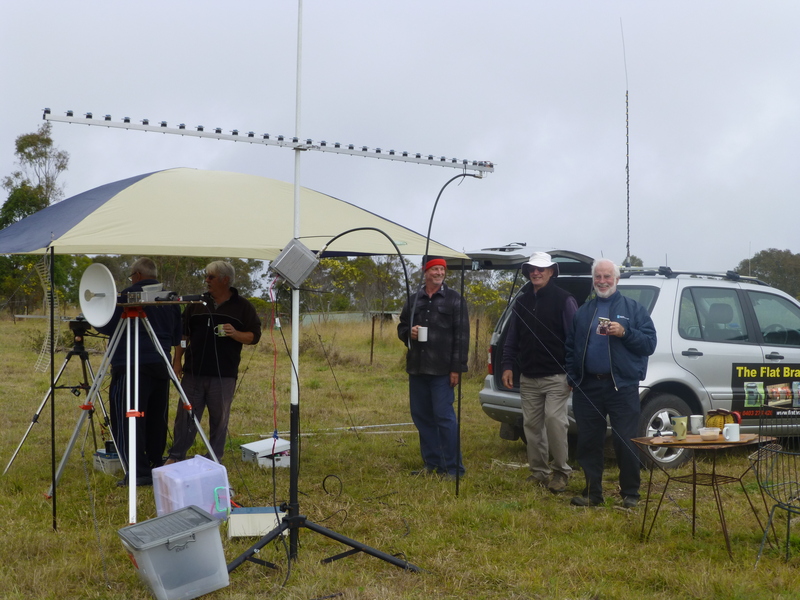 Its almost finished he reported, and it will be trailed at the next field day in September. 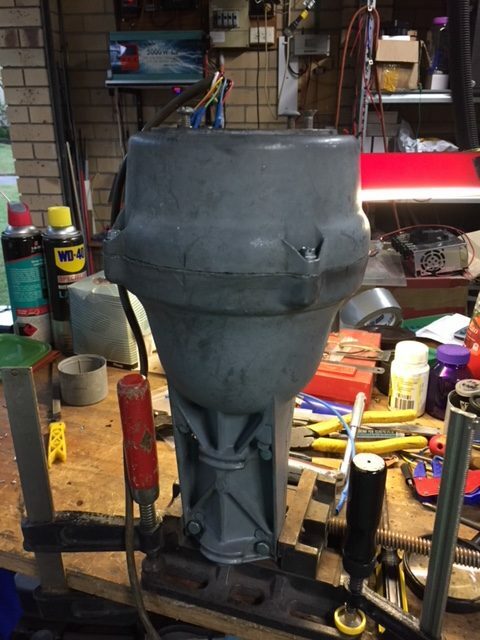 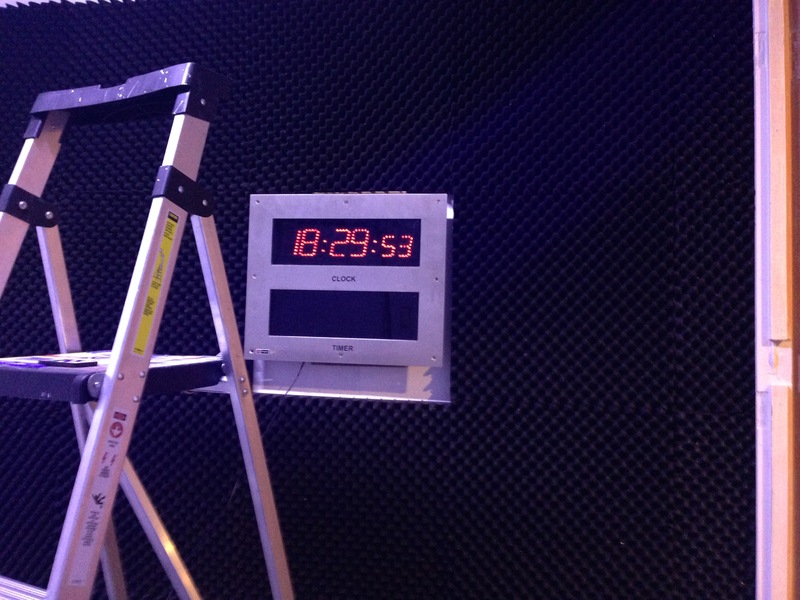 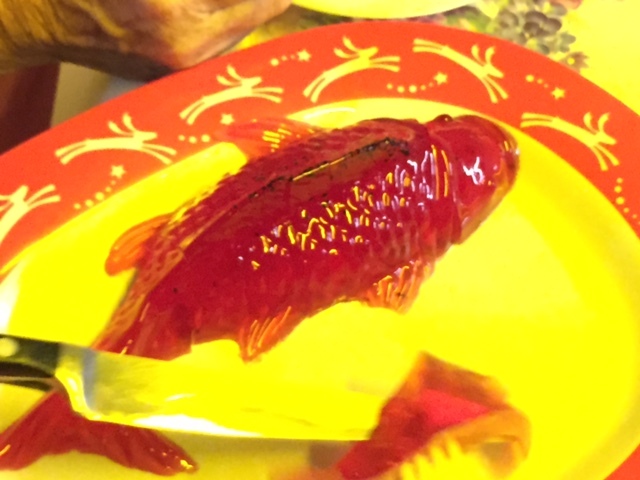 A bit more too go. 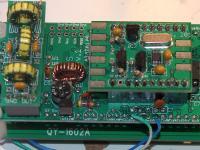 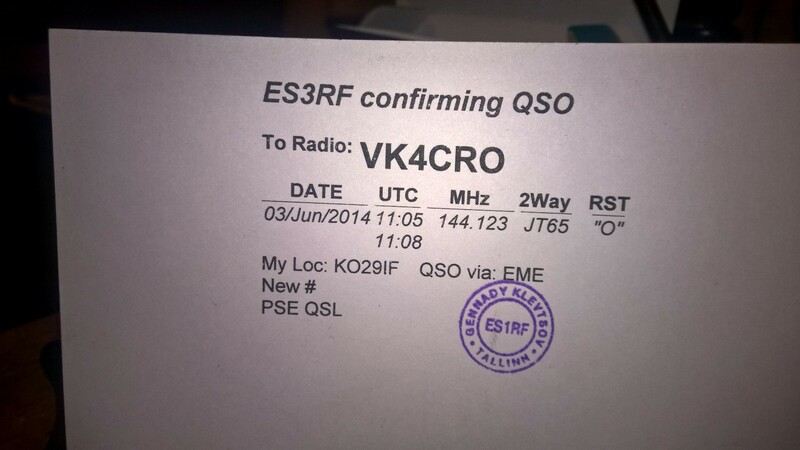 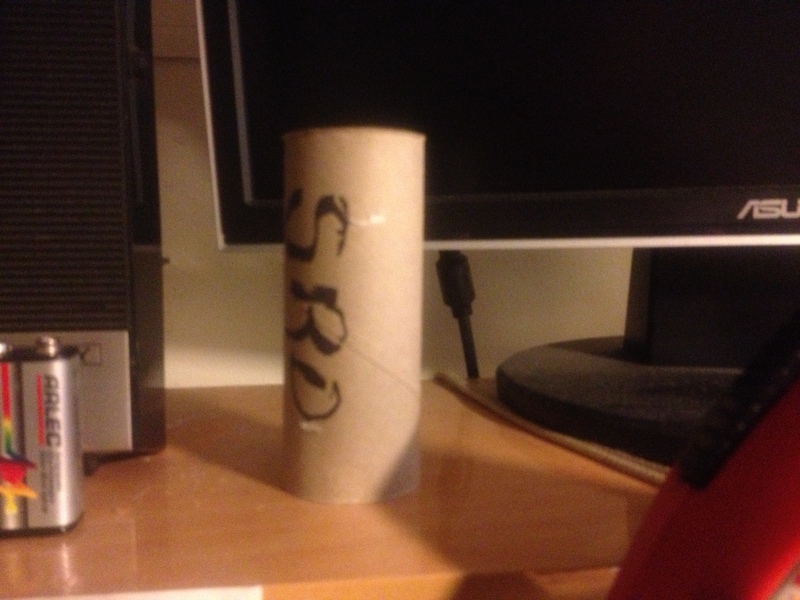 Finished Project, VK4MJF has reported the finished project. 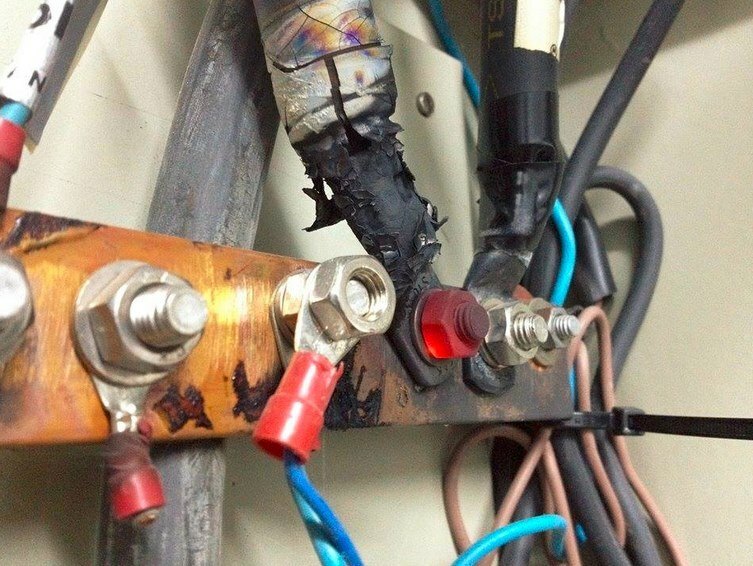 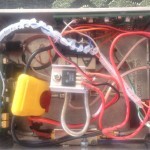 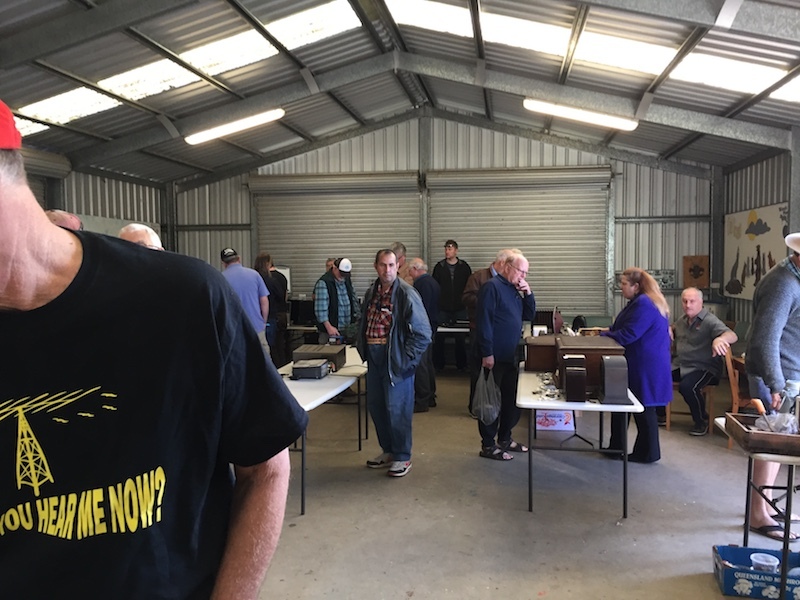 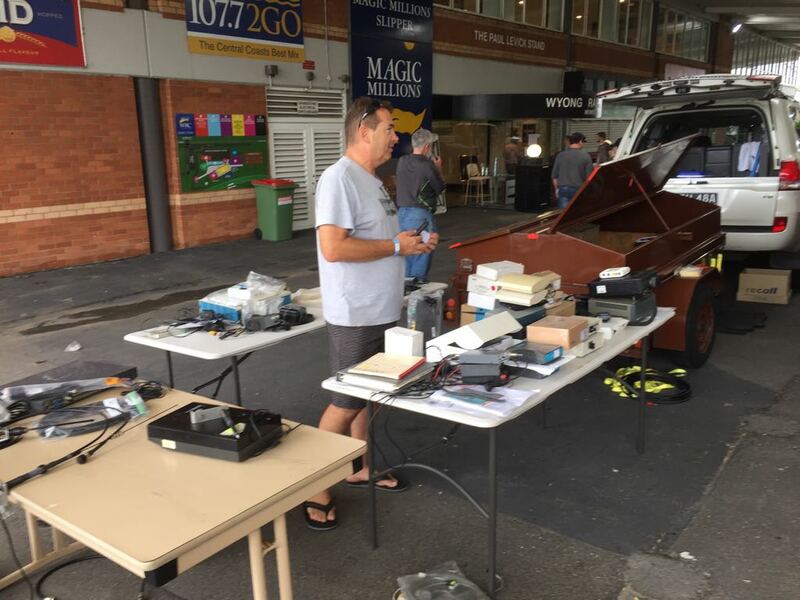 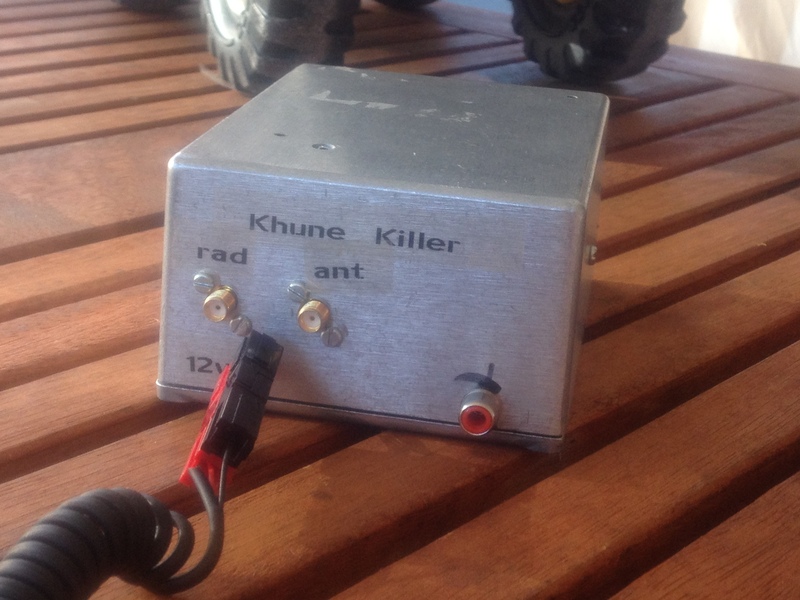 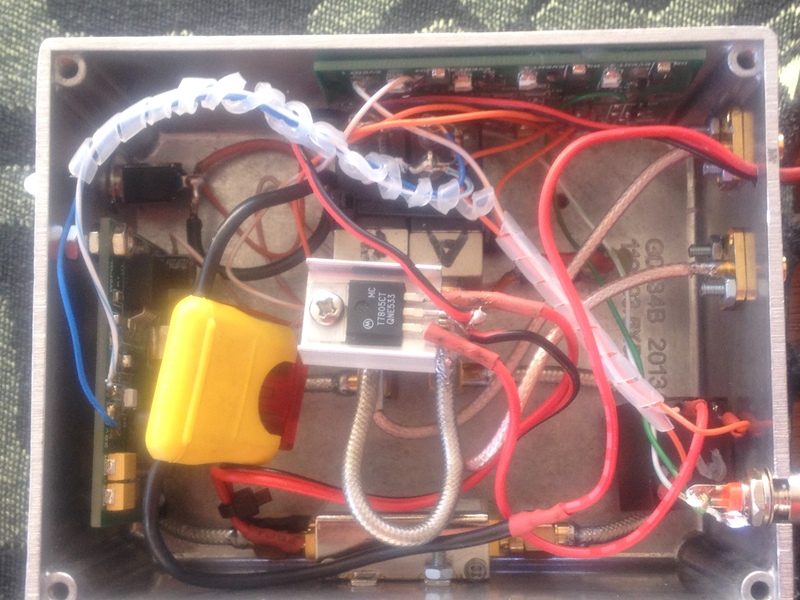 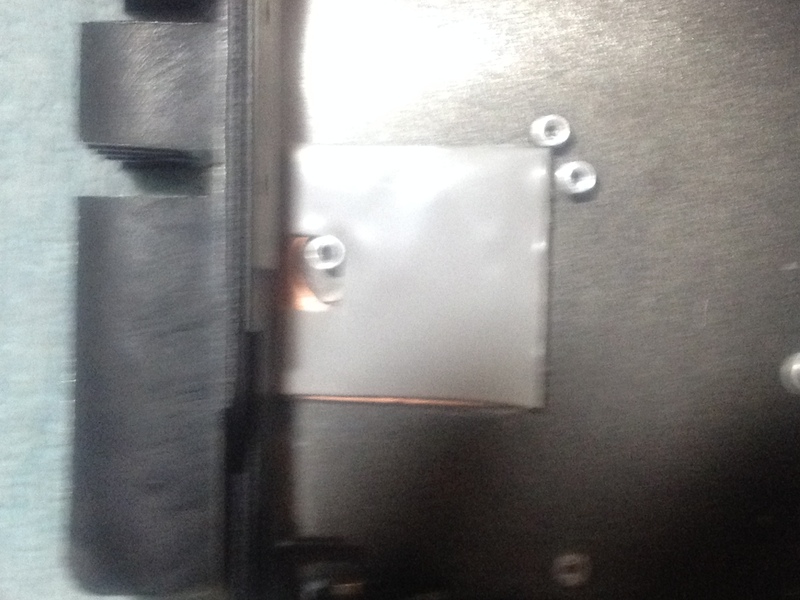 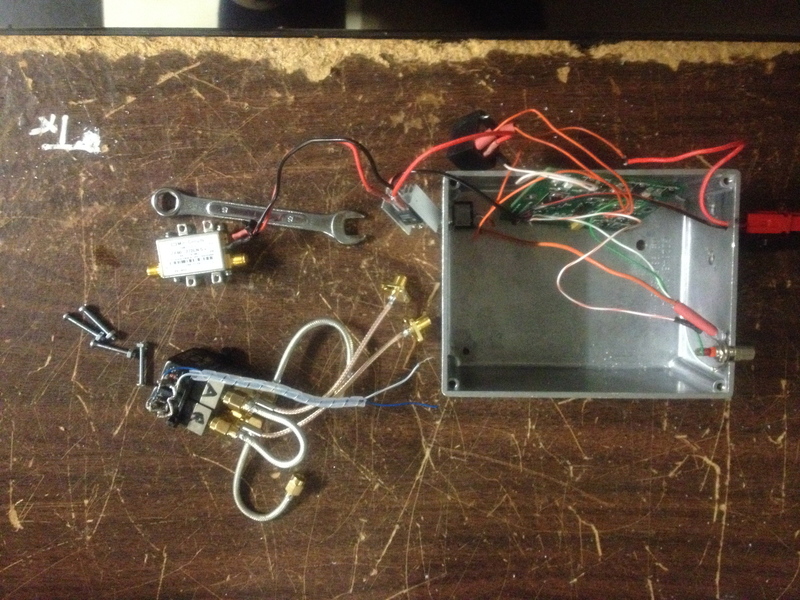 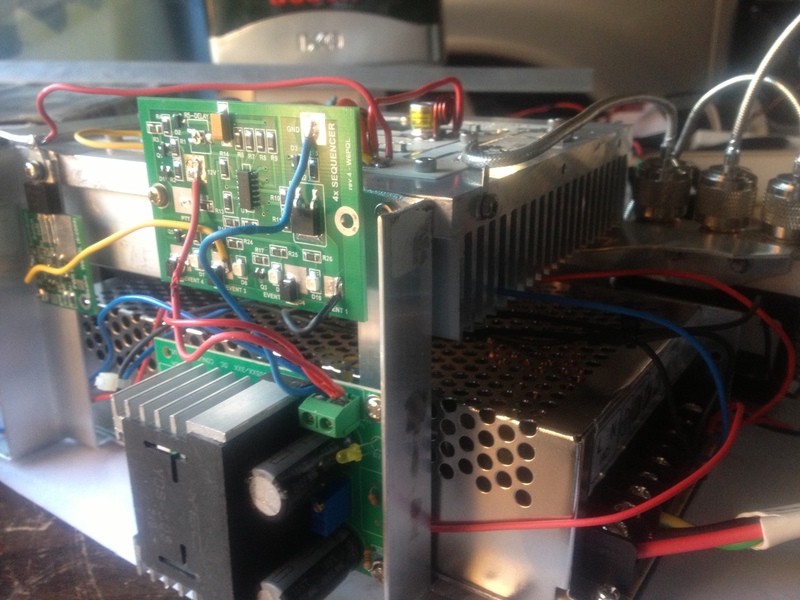 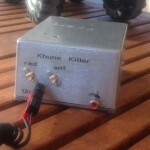 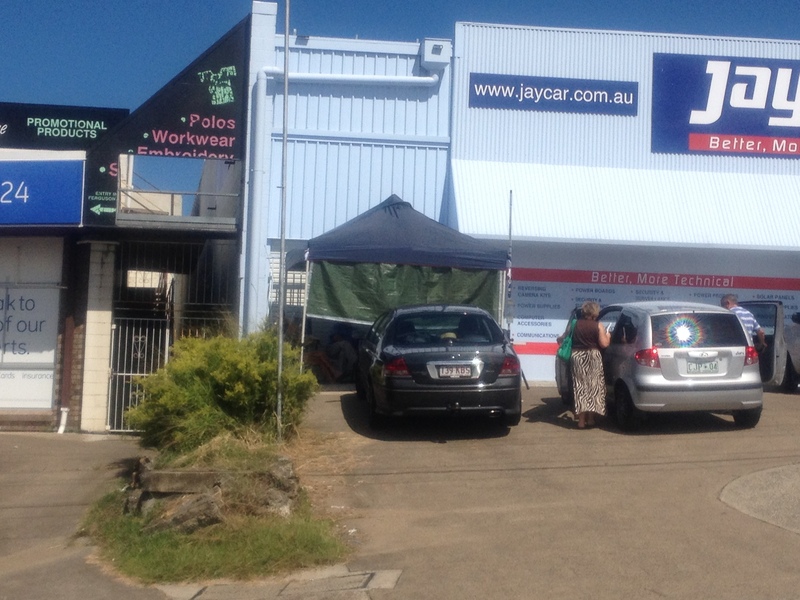 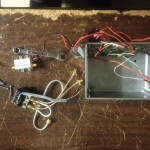 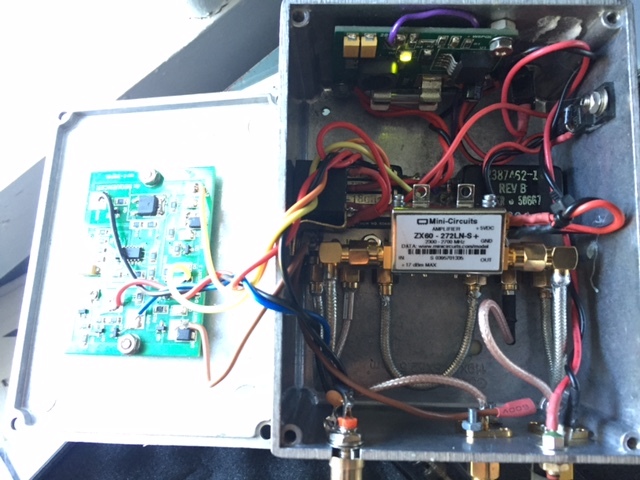 He said all components excepting the mini kits 2.4-2.6ghz pre-amplifier, and W6PQl 12v to 28volt boost (supplied by Mick Normans whorehouse VK4NE) were all recycled from a past 2.4ghz amplifier project, so the cost was kept around the $100.00. 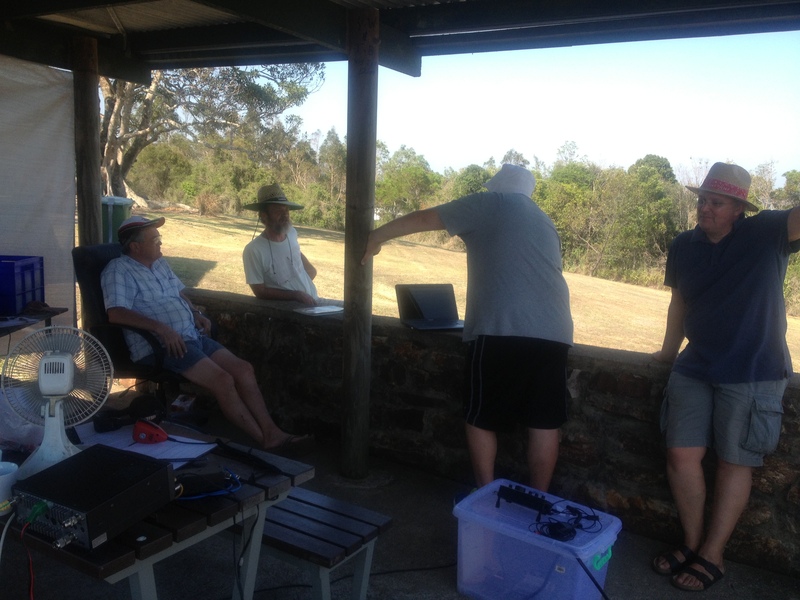 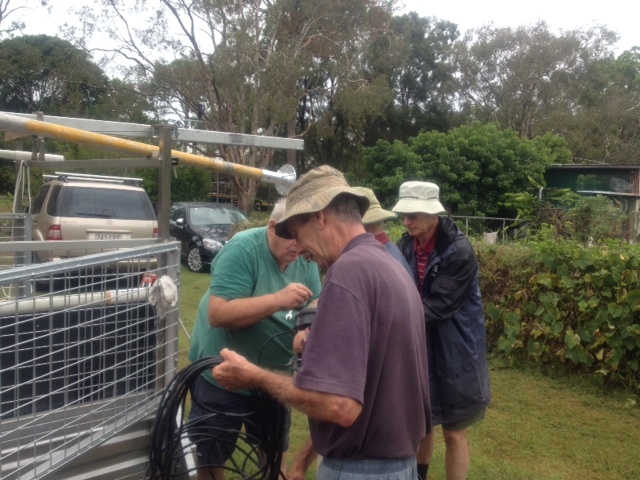 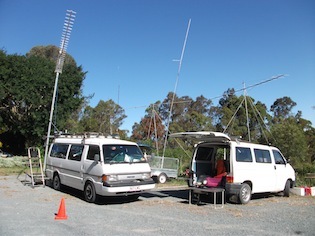 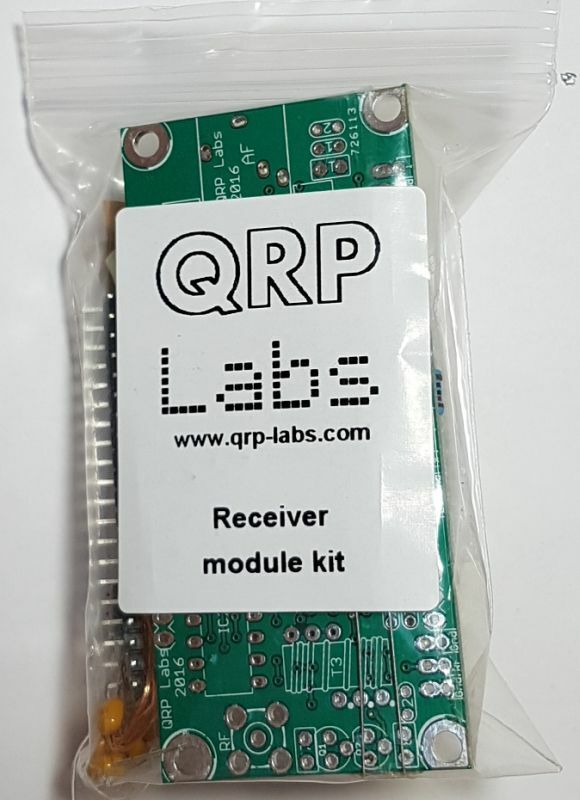 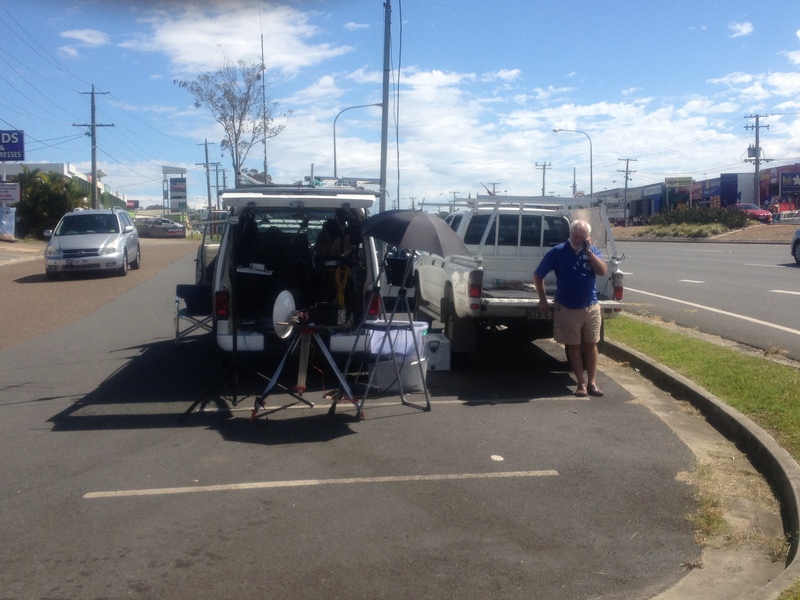 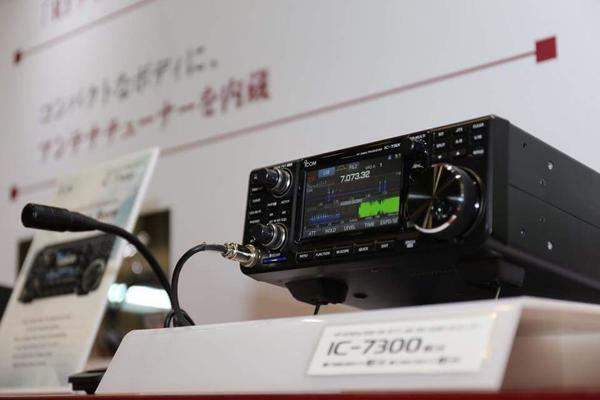 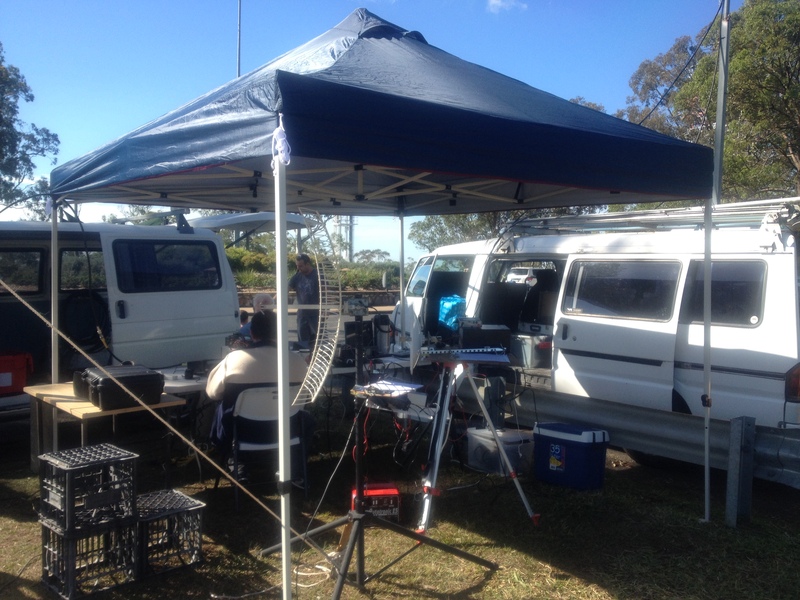 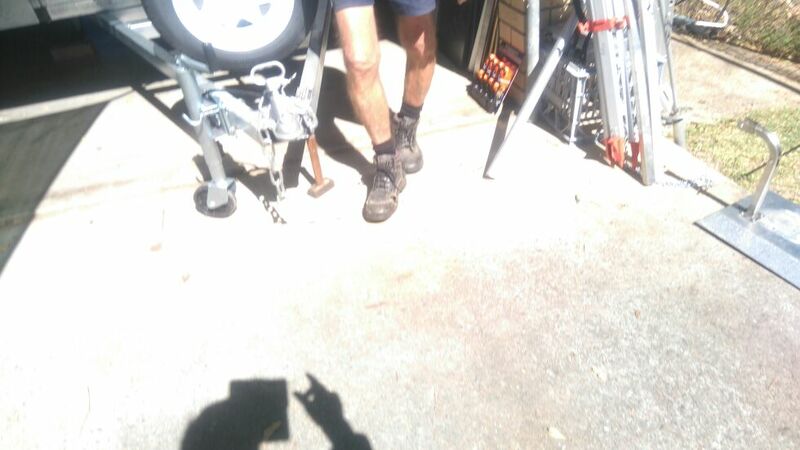 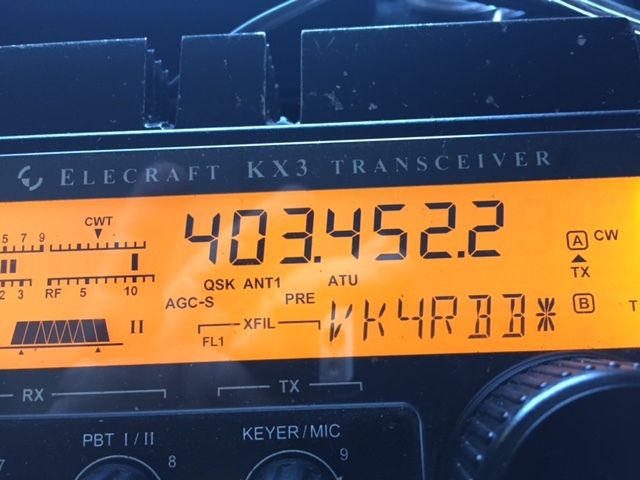 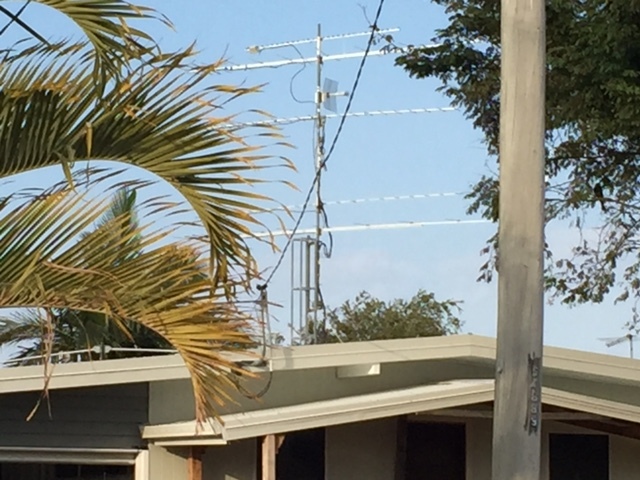 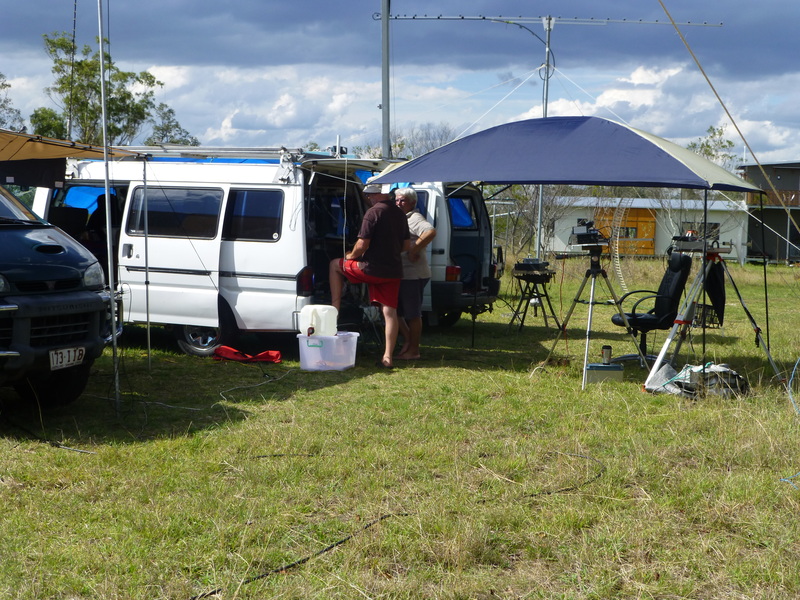 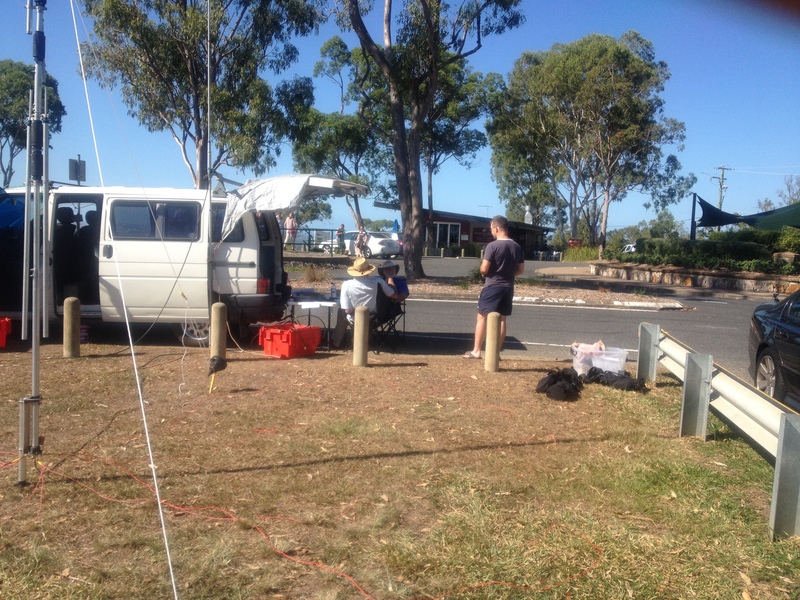 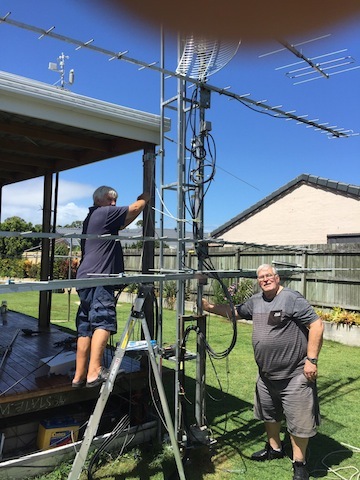 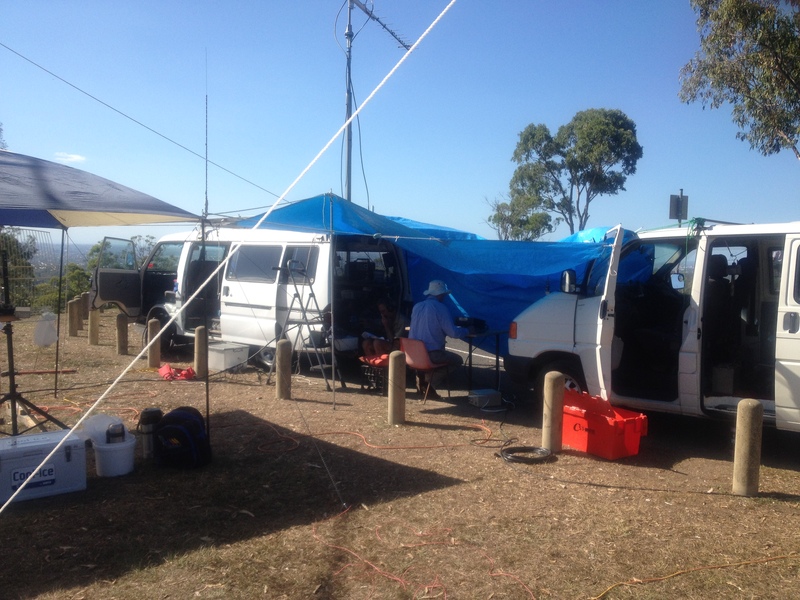 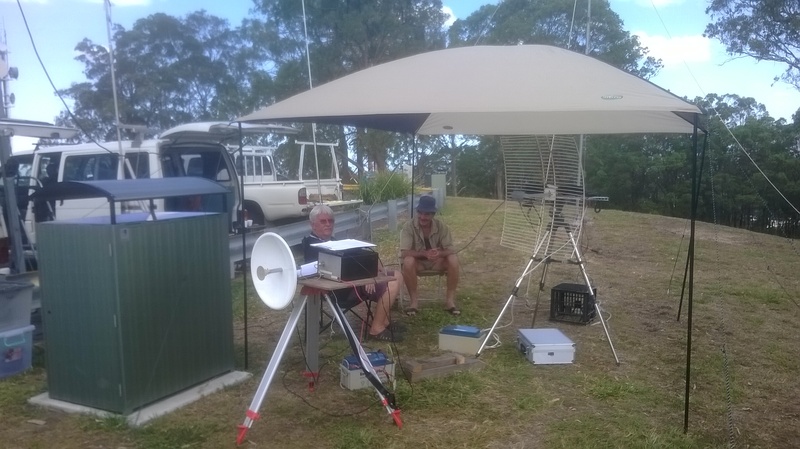 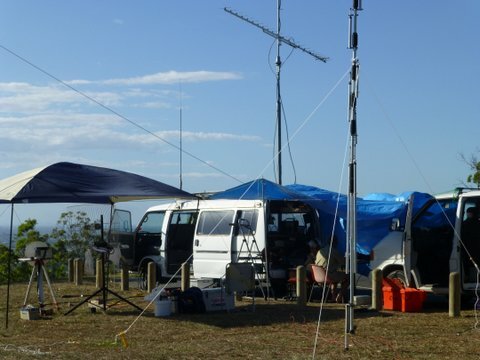 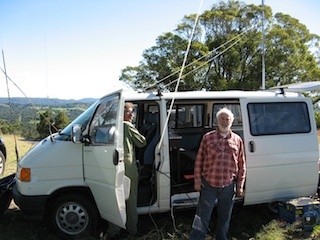 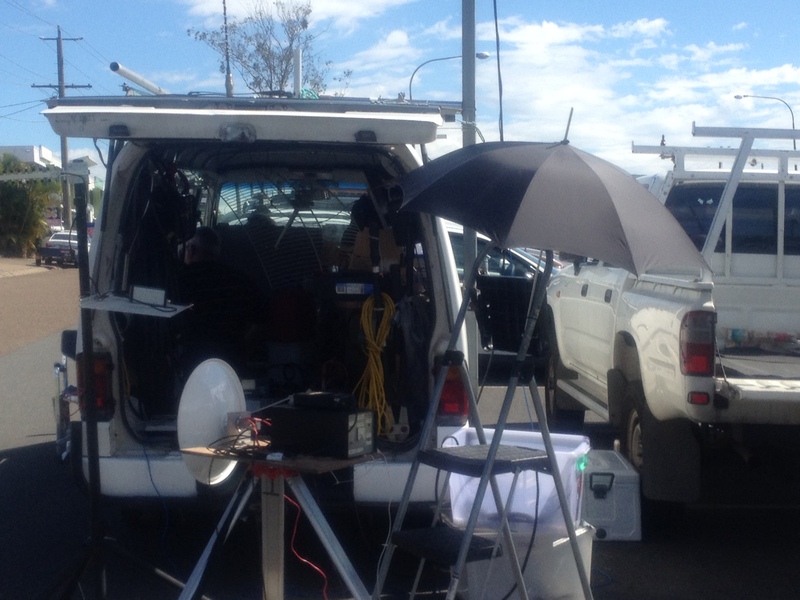 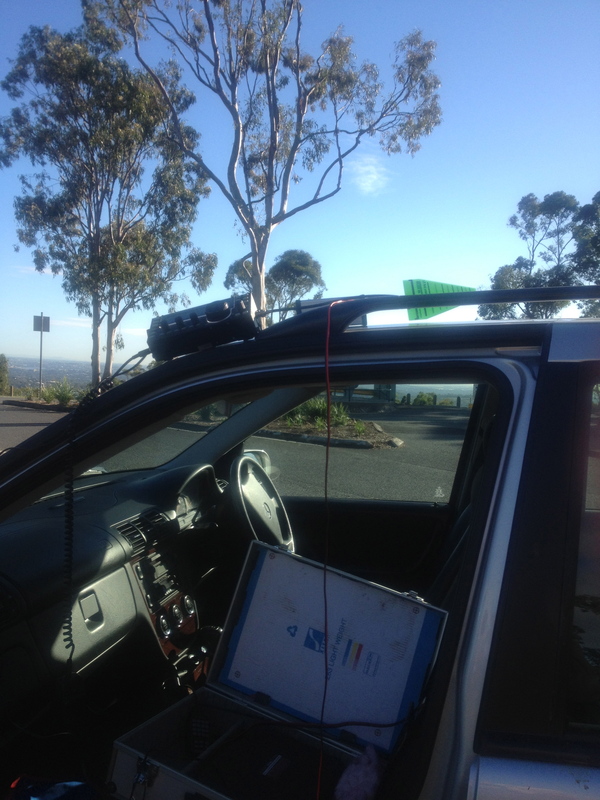 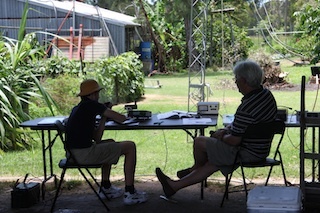 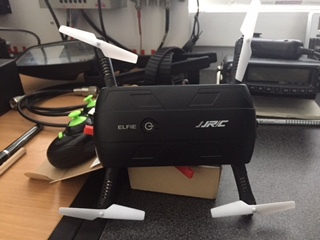 He also tested the project and is very impressed with its ability to boost the beacon signal by 4-5 S points hoping that this will translate to a better reception on field days. 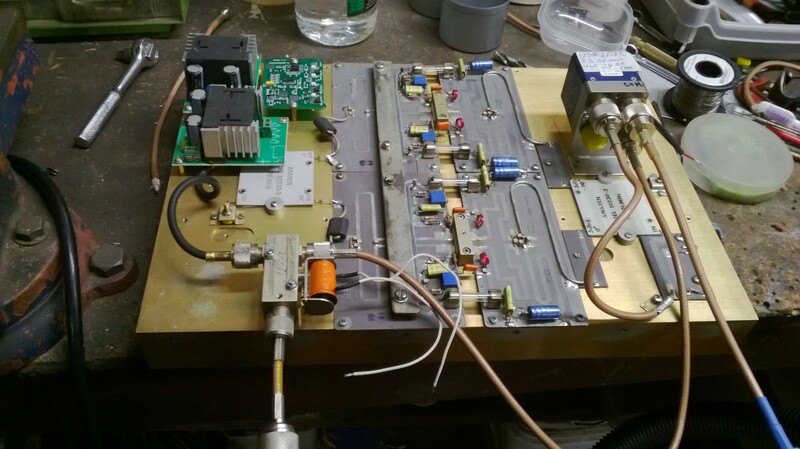 Another 70cm Amplifier was commissioned this week the second in the series of club projects another is being worked on as I type. 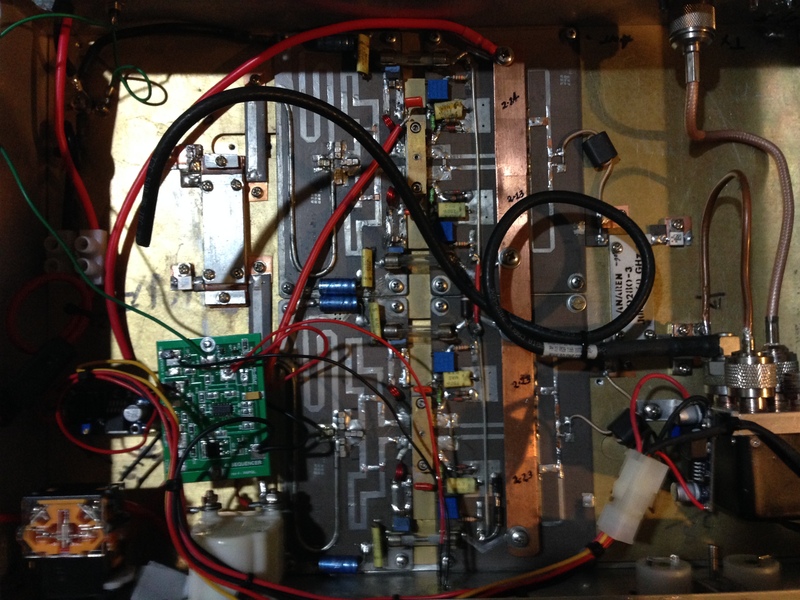 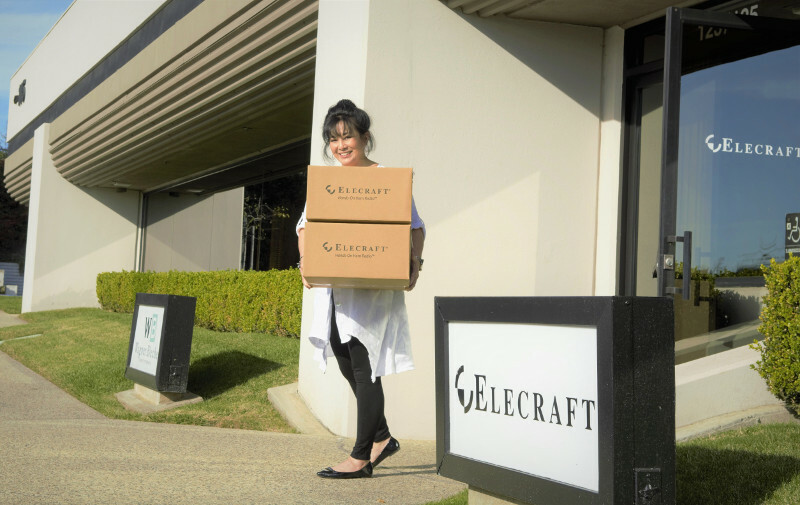 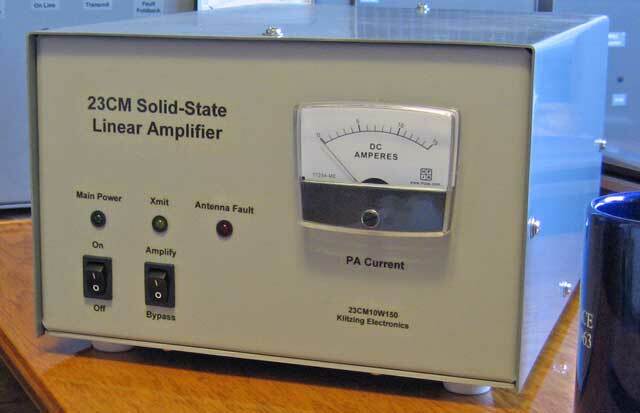 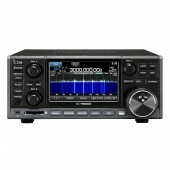 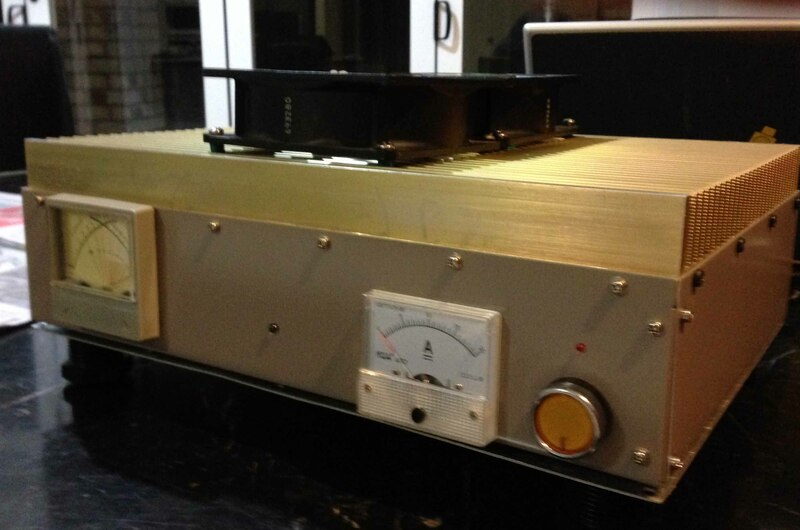 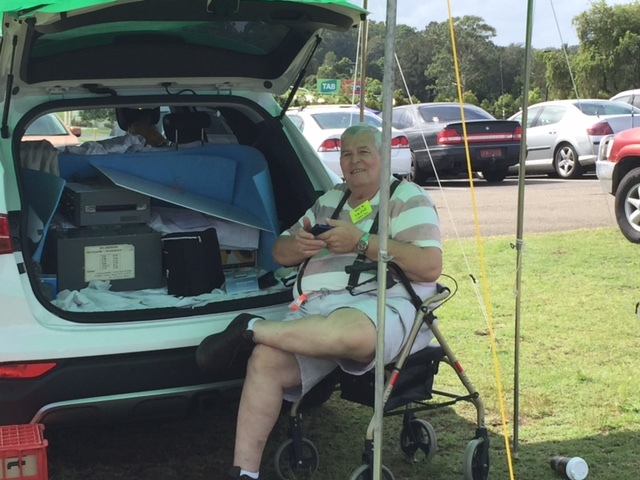 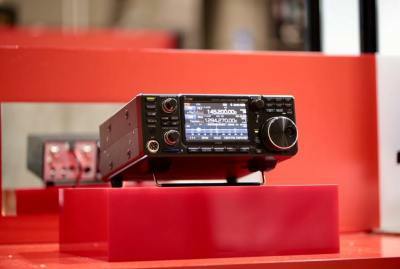 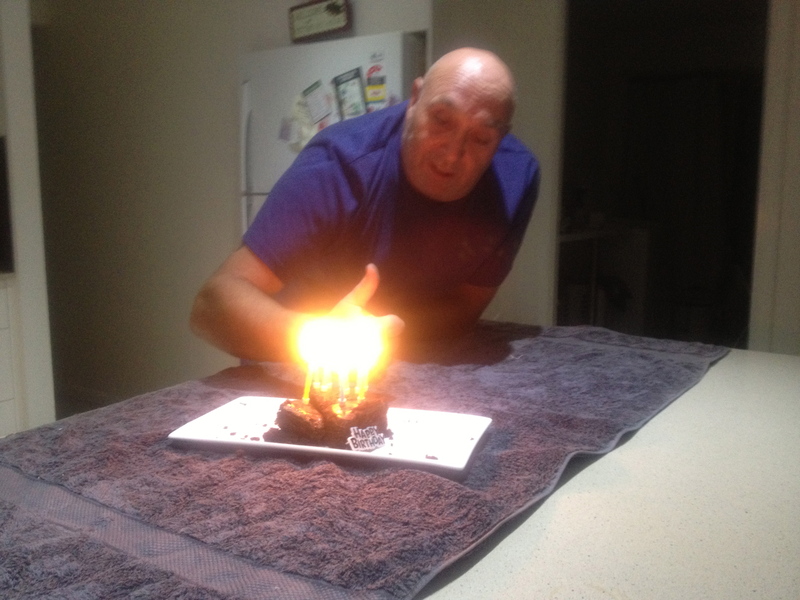 Our thanks goes out to George(VK4 AMG) for his assistance to make them do what amplifiers do.